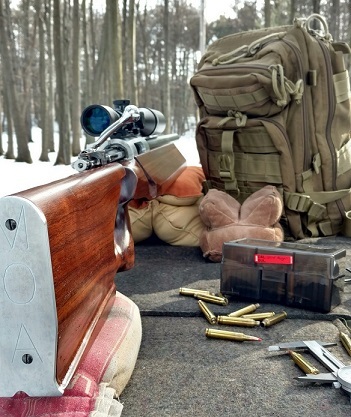 This spring warmer temps will have you sneaking out to the range to pop some primers and send it. After a cold winter shooting season anything above 20 degrees feels like balmy weather. 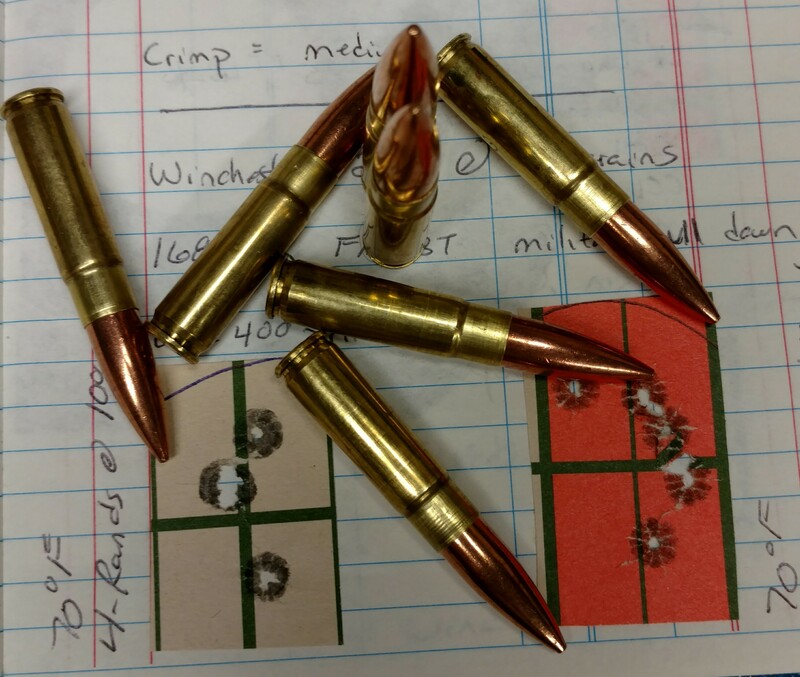 I spent several 4 degree days tuning 300 BlackOut subsonic loads with 180 – 265 grain bullets. Now that’s a bit difficult to keep 300 Blk loads subsonic and sub-moa out to 100 yards during the dead of winter. Challenging? Yes, however, the lessons you learn on case volume fill and powder position in the case will add volumes to your skill on producing accurate and consistent super sonic cartridges of different designs. After shooting minuscule recoil subsonic loads with the 300 BlackOut the hard push of up to 3800 fps feels rather pleasing. 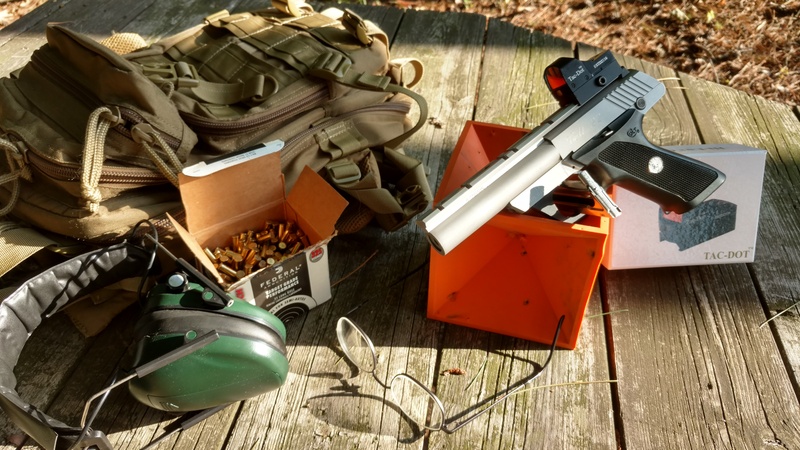 This is a collection of memories of range days spent burning powder and enjoying recoil. Remember the 2nd Amendment is your right and YOU need to stand up for it. Then we ALL can enjoy the freedom of it. Cross Hair Considerations – What’s A Few Clicks Among Friends? Pre-Season range work will pay off in your confidence of knowing where the shot will land. Do you know hunters that pull ole reliable out the week before hunting season and shoot at the proverbial pie plate at 100 yards? That’s a large window for shooter error not to mention any impact shift if you change the scopes magnification. Fall/Winter brings on cooler weather and prompts hunters to drag out the guns from last hunting season. Some are cleaned, others, well not so clean. 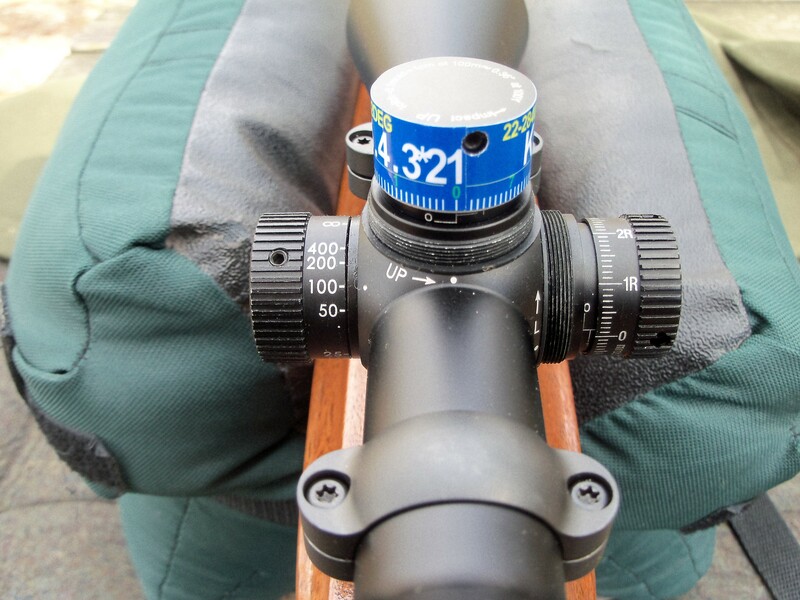 This month I want to discuss optics that drift the point of impact when you change the variable magnification of the scope. 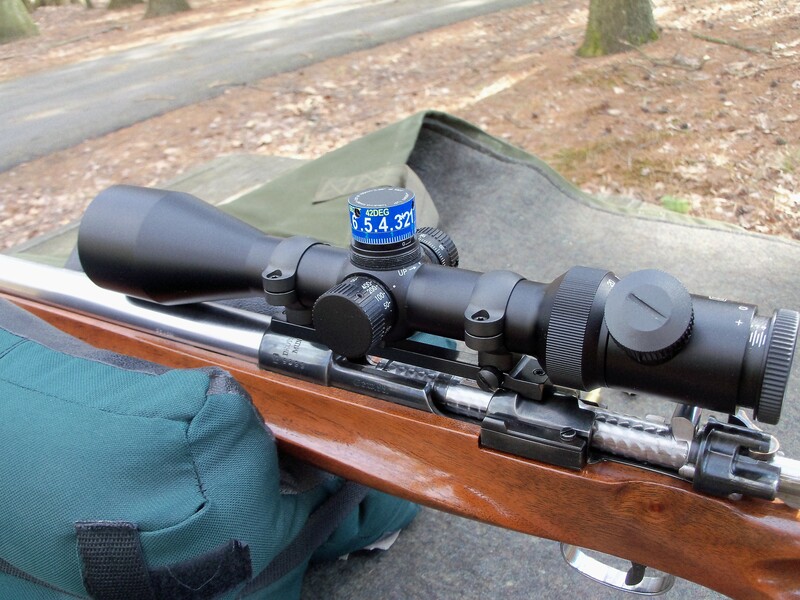 Conventional optics use an erector tube that houses the reticule while spring tension moves the tube when applying or decreasing pressure via the scope turrents. Yes, optics point of impact will shift during magnification change. This is more evident with second focal plain optics than first focal plain scopes. One easy method to help lesson the effects of less erector tube spring tension flyers is to always increase magnification before the shot. If you lower magnification for any reason, turn to a lower setting than you want and just bump the setting up to your desired power. What this trick will do is put positive spring pressure on the erector tube to help stabilize the zero. Ever see guys smack the scope after adjusting clicks? Yes, they are trying to stabilize the spring tension. Today we will look at a totally different type of optic, the digital electronic version. 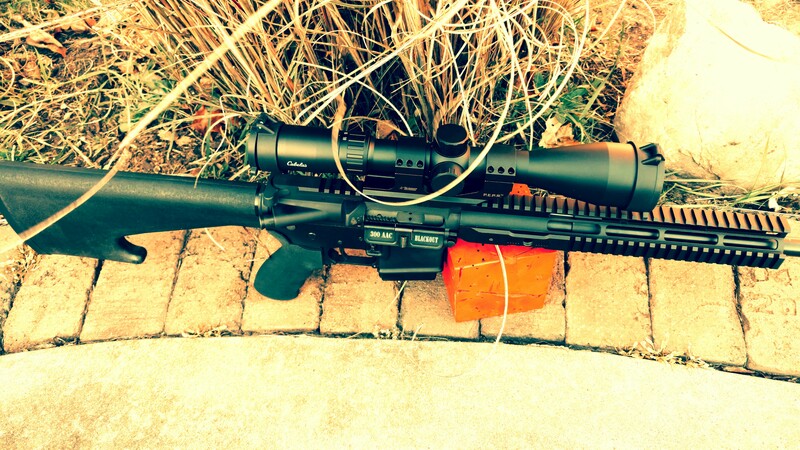 ATN Smart Optics makes a day/night scope. It’s a X-Sight II HD. I told you about them in a previous post and with the help of some fine tuned 300 BlackOut rounds we will test point of impact drift during a range session. 300 BlackOut loaded with converted Lake City 5.56 brass, necks turned to a even .012″ and a stiff charge of IMR 4227 ignited with a CCI 400 primer. The bullets are Sierra #2124 135 grain varminters made just for the BlackOut velocities and they are darn fine shootin’ bullets. 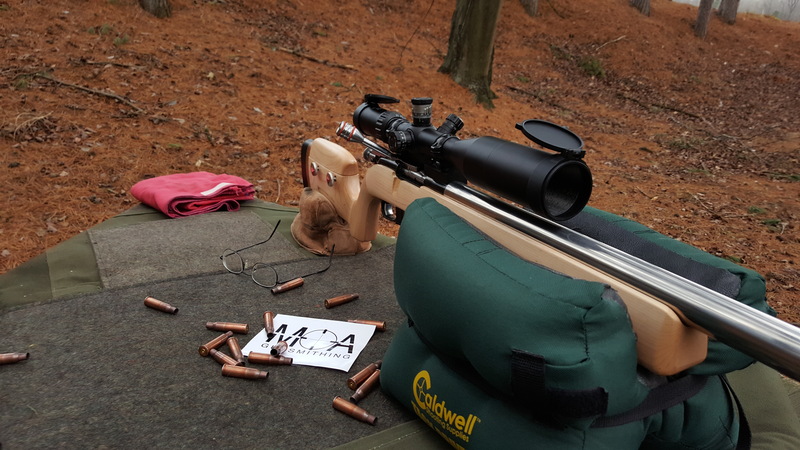 At 100 yards, this load will group sub-moa consistently. Cold temperatures and changes in humidity will play havoc on those finely tuned hand-loads not to mention factory loads too. A good grouping load will shift point of impact in colder weather and when you are zeroed in on that one split second shot at winter freezer meat, then what just happened? A miss? It happens ballistics are math and high humidity is science and equals thinner air (less drag), colder temperature lowers velocity (and chamber pressure), so what to do to keep a good all weather zero? Point Blank Zero is what I use for hunting loads and it all focuses on what game you are hunting. 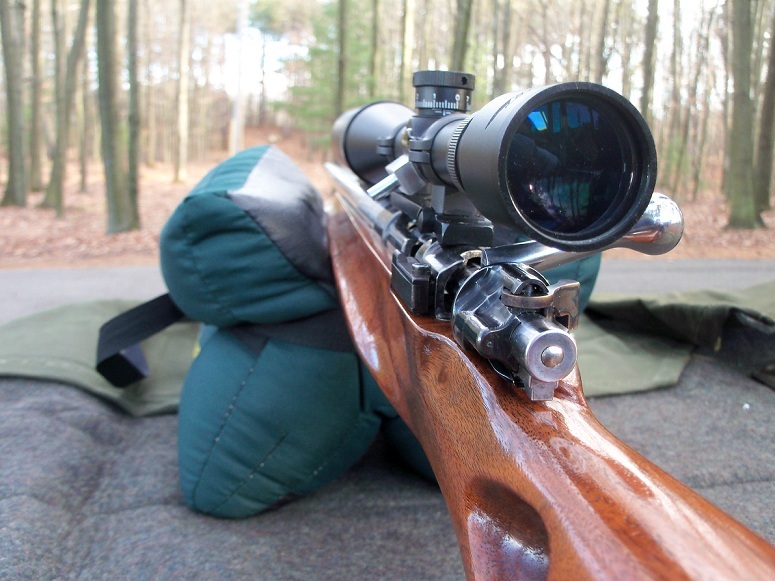 Varmints need a smaller kill zone while deer will need about an 8″ kill zone. Yardage must be determined with a maximum effective range of the selected cartridge as the bullet drops under the line of sight. Think of an oscilloscope screen with the flat line as “line of sight” and the sign wave curve as bullet high/low trajectory. 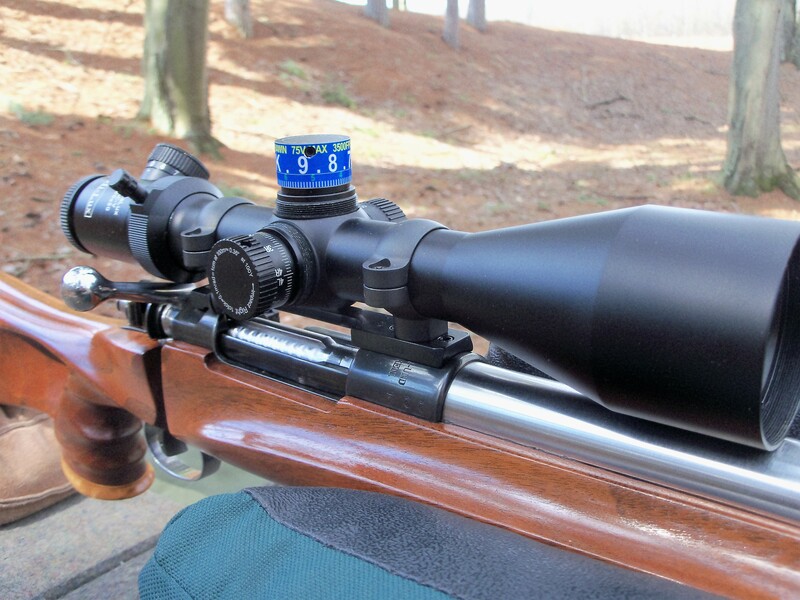 Now with the deer example, an 8″ kill zone would allow 4″ above the line of sight and 4″ below the line of sight for a total minimum/maximum elevation window of 8″. Some information needs to be known to do the ballistic calculation for point blank zero and that will be typically: Bullet weight/diameter, Drag function, Ballistic coefficient, Elevation, Temperature, Humidity, Velocity and Max Distance. 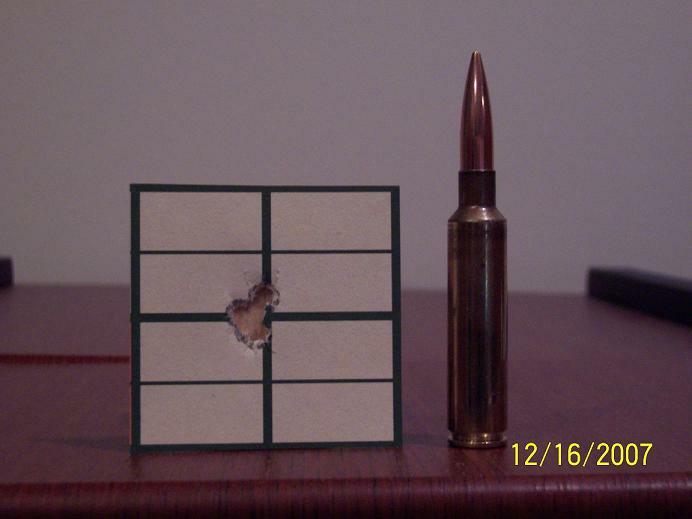 These are just a sample and the specific ballistic calculator program that will specify needed info. I’ll list my 22-284 Winchester varmint hunting load as an example. This window allows no aiming correction from a dead on zero hold, out to 268 yards with this load. That’s a 3.16″ kill zone out to 268 yards, no hold over needed. The fact that you have bullet impact anywhere in the point blank range will allow for some weather condition deviation on impact. We are not looking for pin point benchrest groups just kill zone area impacts. As an example, during a 2017 hunting season a Michigan White Tail deer presented an opportunity for filming the 10 point buck that was in my kill zone zero with the 300 BlackOut. The impact of the bullet was a solid hit thru the shoulder plate and then fragments exited thru the neck. I was well within my point blank zero so no consideration to sight correction was needed. A clean kill and dead in his tracks. 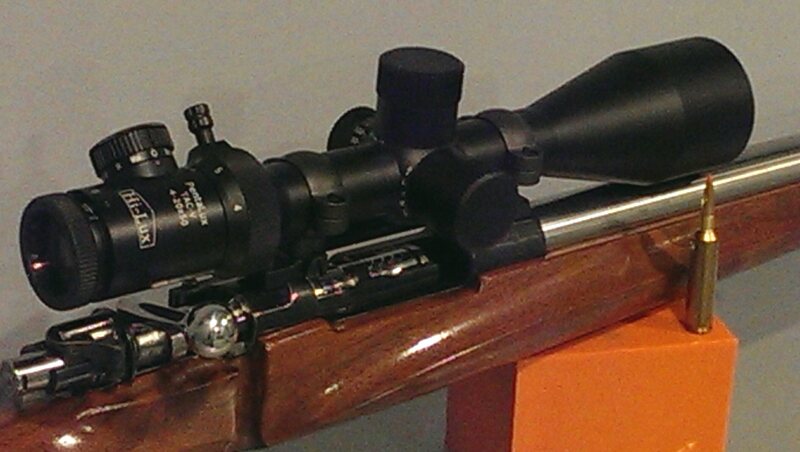 ATN offers an interesting option to shooting with conventional optics with the X-Sight II HD 3-14 scope. You can utilize a program called “Smart Shooting Solution” to make distance corrections in the menu. A ballistic calculator is turned on and a range is selected. The operating system makes the reticule correction and you just hold center and shoot. Now this is not a point and shoot quick adjustment to make, however, if you have time to push a few buttons and set up the shot it’s very accurate. I was shooting 300 BlackOut subsonic loads at 50 yards and decided to push them out to 100 yards. 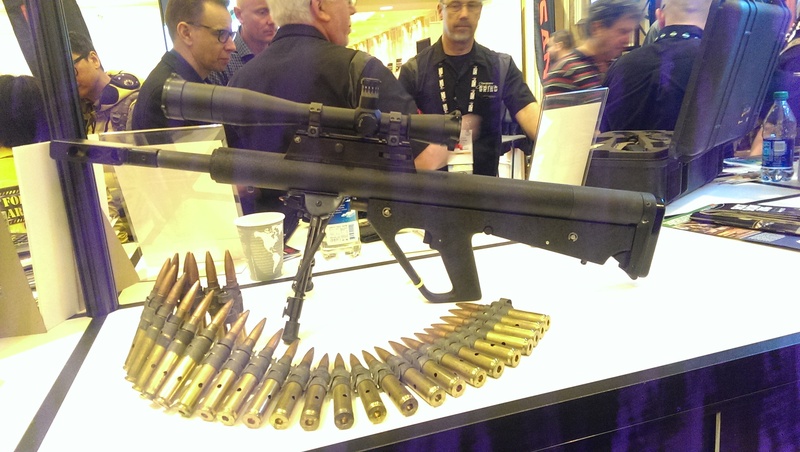 To check out the program, subsonic velocities are in the 1000 fps range and this load will drop 3.75″ at 100 yards. The day I shot the test was cold, 20 degrees with 95% humidity so the air was thin, less drag. You guessed it, bullets hitting high would be the assumption. I input the corrected weather conditions and applied the ballistic calculator function for 100 yards. This was the results. Going a bit further I moved out to 200 yards on another day. Again adjusting the ATN X-sight for the huge elevation drop of the Rainier Wedge 180 grain sub-sonic loads. To sum this all up it doesn’t matter if you choose to use a digital optic or a conventional optic. Current weather conditions will need to be considered for correct shot placement in the kill zone. With a Point Blank Zero you will be able to hold dead on without consideration of environmental conditions (wind is an exception). Time spent at the bench tuning the zero while twisting turrents always pays off when the pressure is on to make that quick shot while hunting. Until next time, get some bullets in the air to tune your Point Blank Zero! Honey Badgers are an intruding animal and they are just plain mean. Maybe that’s why Advance Armament Corporation creator Kevin Brittingham developed a light weight mean devil of a rifle and named it the “Honey Badger”. Chambered in either the heavy hitting 300 BlackOut or a military 5.56 Nato cartridge, the original Honey Badger is less than 5 pounds without optics and ammo. If you crawl around the web you will find plenty of info on Honey Badger rifles and their clones. That brings us to this build. We start with a bench full of parts, a maximum rifle weight in mind and compact total length (keeping well longer than a short-barreled rifle and overall length within legal limits). Another critical factor is to build a Honey Badger “clone” without needing tax stamps. For a short-barreled rifle and silencer it will need to be agile and quick handling for a “SHTF” rifle and be able to digest the most readily available ammo around 5.56 Nato. Mil-spec parts interchangeability will be mandatory throughout the building process. 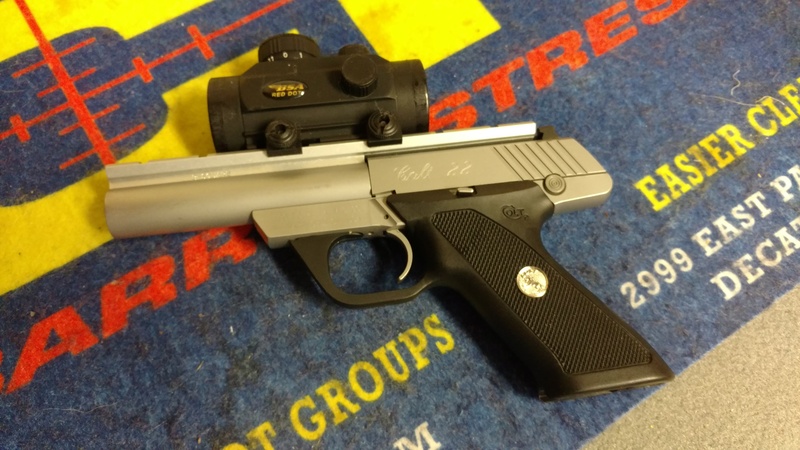 An interesting note is that even with a mil-spec two-stage fire control group, I found a manufacture of a flat trigger that really impressed me. Starting with a lower receiver made of polymer was a step in a direction. Originally I wouldn’t have chosen this, however, after reading up on Polymer80 lowers I needed to see if the claims were accurate. 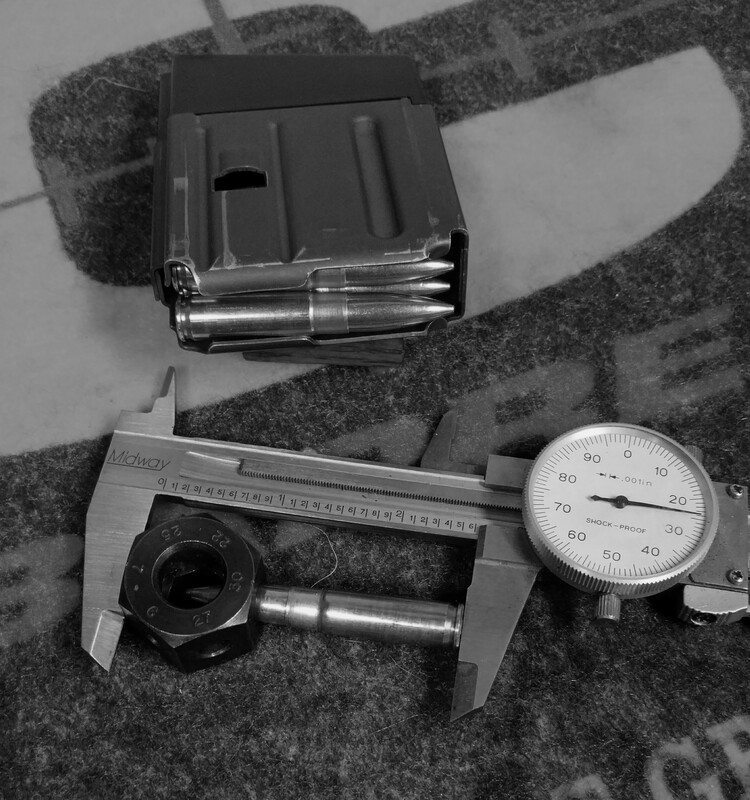 The second generation Phoenix2 lower receiver kit contains all the needed tooling and jig to machine the fire control group and once set up in the Bridgeport mill, the process was enjoyable. Is the Polymer80 lower as strong as an aluminum lower? The reviews are mixed. I figured Glocks have been manufactured in polymer for sometime now so lets try one out. 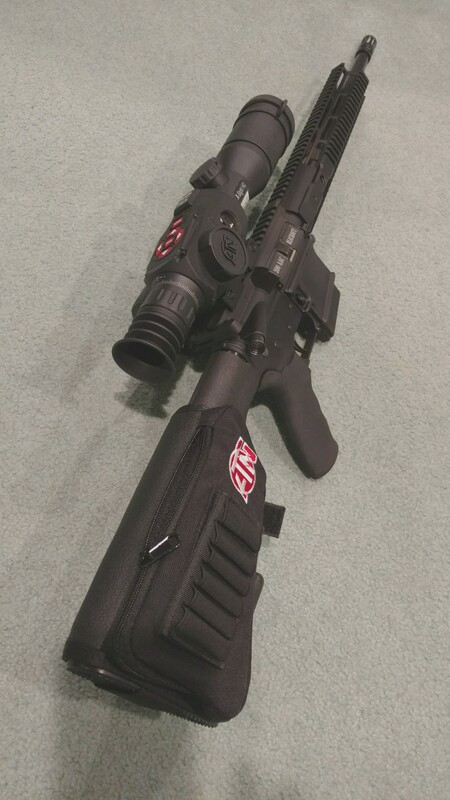 The fire control parts group was from DPMS and fit perfectly. I did change out all the springs for lighter trigger pull and tactical reset. 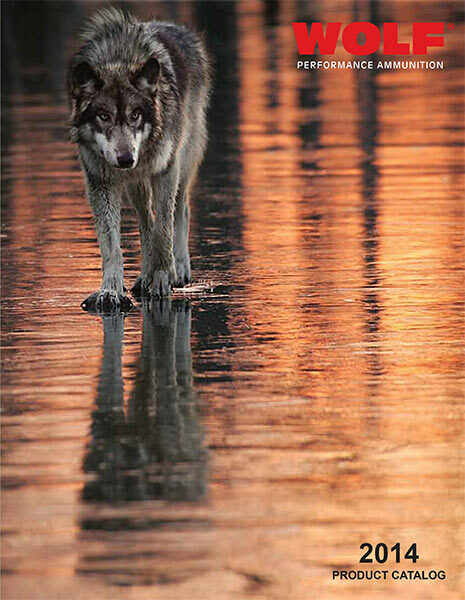 That was accomplished with Wolf & Taylor Tactical springs. Another swap was with the trigger as mentioned earlier. 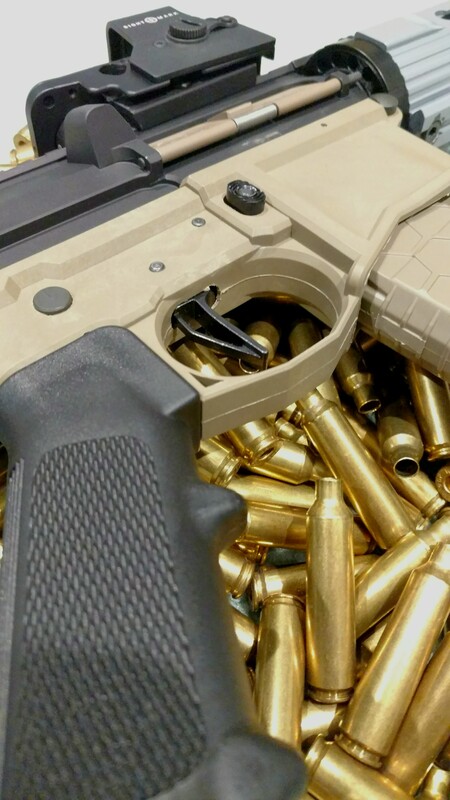 Bull Moose Tactical offers a mil-spec flat trigger for the AR fire control group. Keep in mind, this is not a drop in replacement part. The disconnector will need to be hand-fit to the trigger, otherwise safe operation will not be possible and hammer follow will occur along with failure to reset. Once fit and correct operation is obtained you’ll end up with very short trigger creep, quick reset and nonexistent over-travel. Let’s think about collapsible minimalist buttstocks. You can find several styles while searching with prices ranging up to hundreds of dollars. I wanted a unique look, light-weight, choice of colors and affordable price. I picked a Strike Industries Viper CQB flat dark earth stock. You can only use a mil-spec buffer tube and that fit my build ticket well. With the lower complete and looking good, an upper receiver was next. 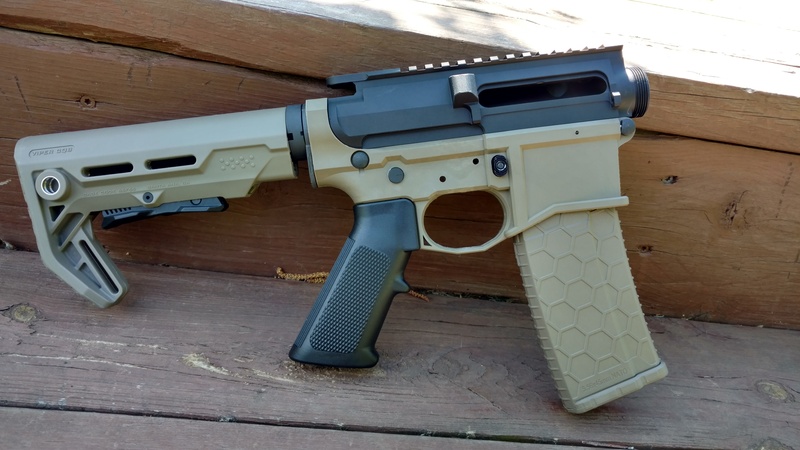 Noreen Firearms offers a nice looking one without the forward assist, billet aluminum for strength and lighter weight for the Honey Badger weight goal. Once pinned to the lower, the fit was snug with no slop. A custom dust cover seems to be the rage with custom etching on them. Tactical Gun Parts had a Honey Badger cover in flat dark earth. I figured “Honey Badger don’t care” and it sets off the flat black upper nicely. 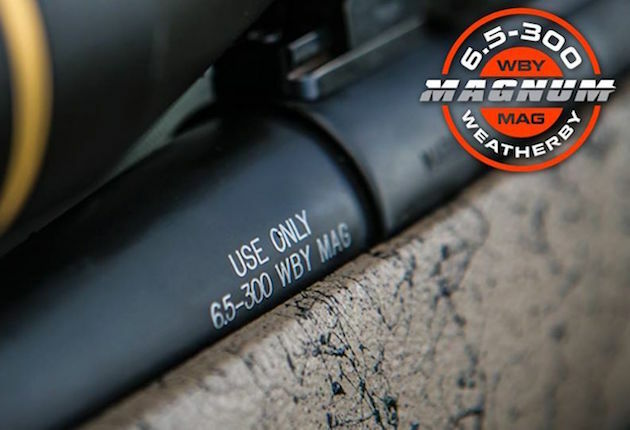 Selecting a barrel in 5.56 Nato with an M4 tapper keeps the quick pointability and agile handling of the rifle. At 16″, no tax stamp is needed. Since it’s not a short-barreled rifle, I went with a 1-8 twist chrome molly barrel gassed with a carbine port. The bolt and ambidextrous charging handle are Lakota Ops sold thru Omega Manufacturing. 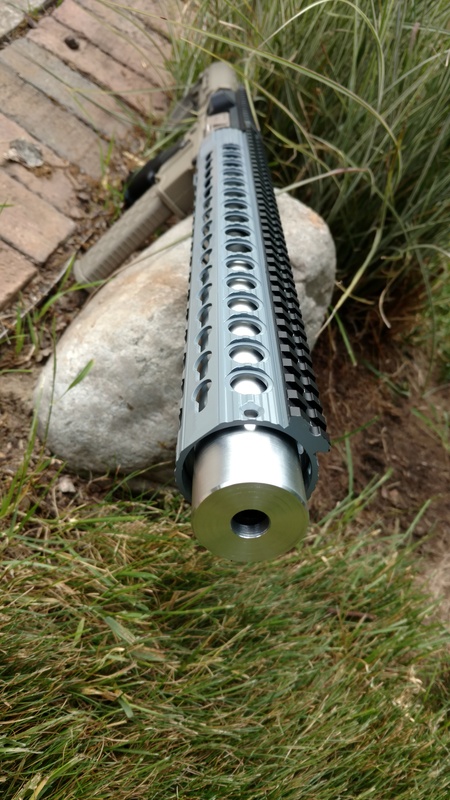 Covering the M4 tapper barrel is an Omega keymod 15″ free floated handguard, then painted smoke gray. The handguards, 2″ O.D., allows plenty of room for the carbine length gas block and a Black Moose 1.5″ x 6.5″ brushed aluminum barrel shroud. I found Black Moose while looking for faux suppressors (no tax stamp) to give the impression of a short-barreled rifle. The cool factor won me over and yes, it’s still loud. A barrel shroud threads flush with the muzzle while covering the barrel behind it and they are very light weight. 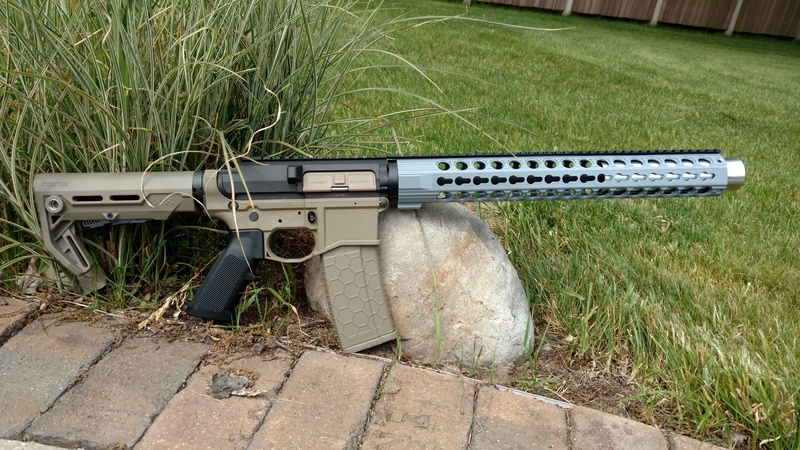 The completed build weighed in at 7.2 lbs without the SightMark digital reflex sight or magazine. Not bad for a 16″ barrel. Balance felt good too. 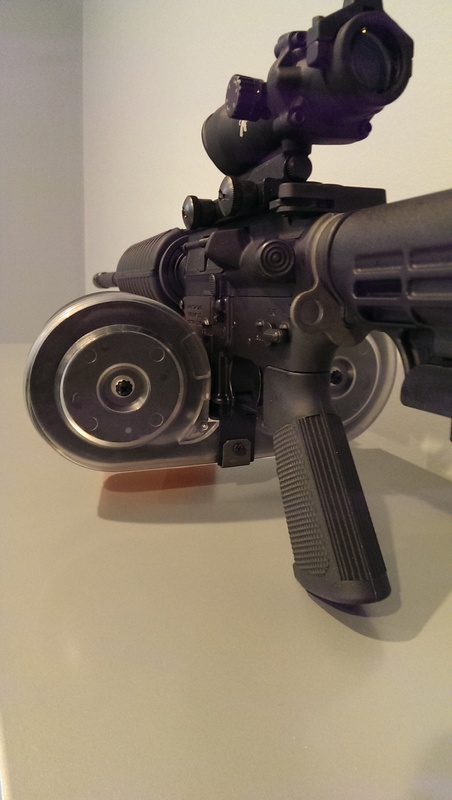 It didn’t feel overly muzzle heavy and the 100 round drum magazine would only be useful during a zombie invasion. Burn some powder, send some freedom seeds down range and get your concealed carry permit. It’s your 2nd amendment right! Every now and then you stumble upon an item you really don’t need. However, the technology interests you and there you are, receiving another package from Fed-Ex. I am looking at the ATN X-Sight II HD 3-14 day/night scope. This is not a conventional scope you are familiar with – as it is 1080P digital. When you look thru the eye piece you are viewing a video image of the field of view. This totally eliminates the need for parallax correction on your part. No need to adjust for varying distance to dial in correction of focus. A link is listed for the manufacture site to show all the features in-depth. 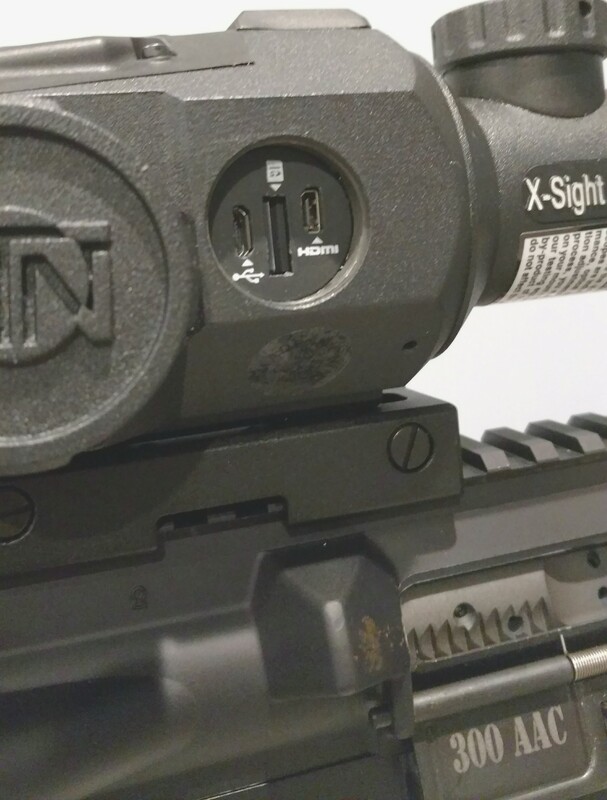 I mounted the X-Sight II on a AR15 and had no trouble with gaining a good clear view of the eye piece video image. The scope is well build and solid. It has focus correction on the eye bell and once set you don’t need to readjust. The objective end has a focus adjustment by means of a small dial on top of the main tube (very handy and out-of-the-way). Moving to the rear on top of the scope are the function key pads and are all-weather proof for those wet hunting trips. Complete directions for use and function are explained in detail on the web site and I found navigating the menu to access different modes very easy and straight forward. It is a bit heavy at 2.5 lbs, however, you are mounting a mini computer/video/ballistic drop calculator to your rifle. The left side has a rail for mounting a infared illuminating light for those times when additional I.R. is needed. Two covers on the right side are for batteries and micro hdmi/sd card/usb ports. 4 AA batteries power the processor and are sealed with a weather-proof cover (large cover). Ahead of the battery cover are the micro ports. Now for the cool technology stuff! 1080P @ 30 frames per second along with video streaming via wi-fi and geo tracking. Just load the app to your phone or tablet, link to the scope and you have live feed video and capabilities to adjust functions of the optic. Another feature is recoil activated video or continuous video all with 64Gb of storage. 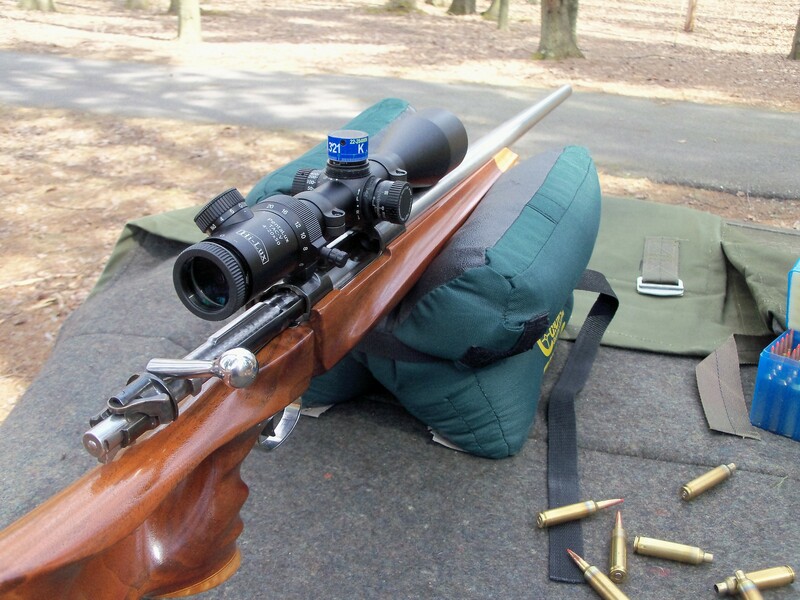 Want to zero your rifle in one shot? With the ATN X-Sight you can! Use the zero reticule function, put a round down range on target, push enter and now move the cross hair to the point of impact while not moving from point of aim. Push enter and you are zeroed! This scope is more fun than a new Moto X Pure smart phone. Did I mention the shooting solution system that calculates elevation and windage corrections? Other features are built-in barometric pressure and altitude sensors and you will need to enter current temperature and wind speed. With all external elements and ballistic data for the given cartridge entered the Shooting Solution System will compensate for drop and windage. While viewing an image you can snap a still shot/burst shots or video the hunt. For those surprise game shots there is a recoil activated video function that will record video before and after recoil is detected…..How cool is that?!? Reticule style is user picked from a variety of shapes along with various colors. When things get dark outside a push of a button switches to night vision. You can pick either black and white or green and white. I purchased the additional 16000mah battery pack that will keep feeding 1.5 volts to the processor for uninterrupted operation for 20+ hours. Once you purchase an ATN X-Sight optic or any ATN product, I suggest joining the Facebook support page (ATN Smart HD Owners) and http://www.atnowners.com. Between the two sites any issue you have can be answered in minutes. It will seem a bit overwhelming at first, however, once you digest the info its second nature to use. In conclusion, this ATN X-Sight II HD optic is a great value for the ability to record video, live stream, use at night and have ballistic calculations done for you. I only wish I had bought one sooner. Now get out there and own the night with an X-Sight!! 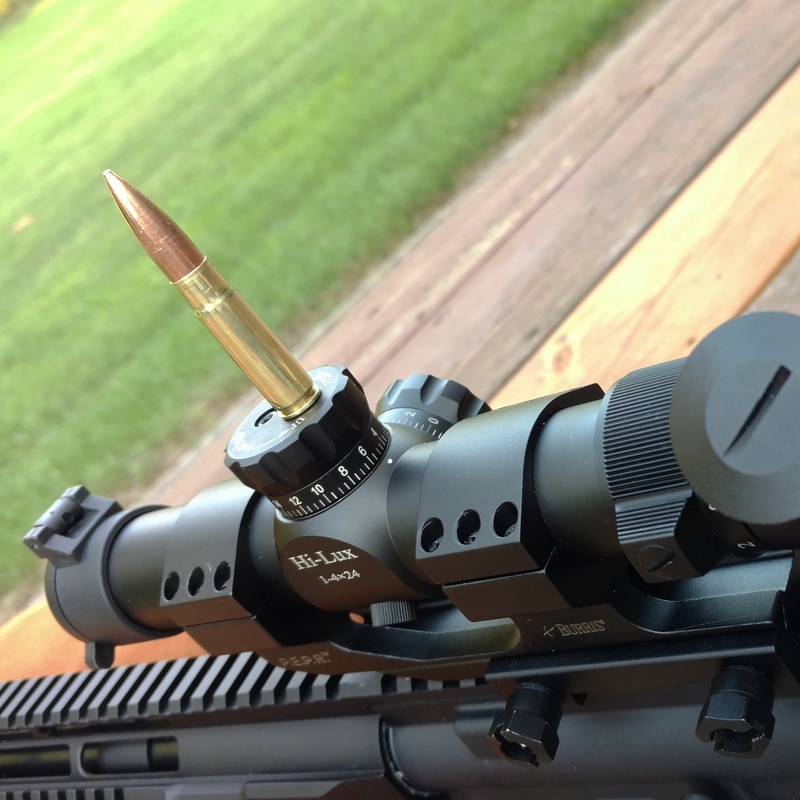 The first post on the 300 BlackOut described the cartridge and development. Since then I have spent some time at the reloading bench and range getting to know the round. 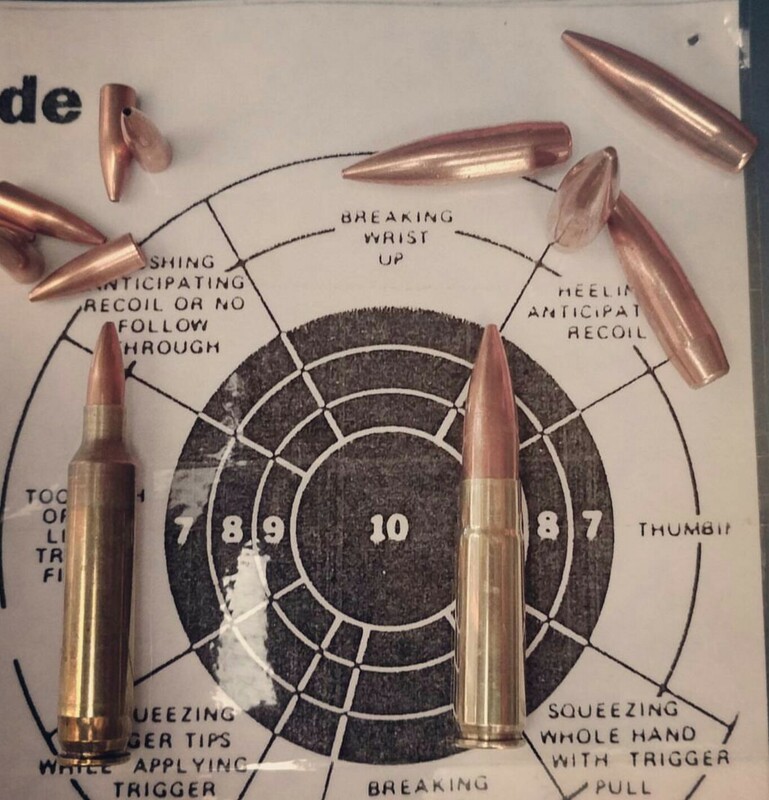 Depending on your shooting desires you may opt to use factory ammo and be happy with the results, as for hand loaders we are intrigued to experiment with components seeking the sweet spot of a cartridge/rifle combination. Most articles will talk about light Supersonic velocity rounds or heavy Subsonic’s, with not much talk about the middle weights (168grain to be specific) bullets. I choose to load with the 168’s for reasons of proving they will shoot sub-moa groups at 100 yards all while starting out at Supersonic velocities then after the transonic region maintaining Subsonic velocities well into the 550+ yard range. Another topic I will discuss will deal with tuning the AR15 upper barrel nut torque and clocking the flash hider if used. Tuning a specific load to best match barrel nodes of vibration will produce good results if you have the patience and proper tools to test various combinations. 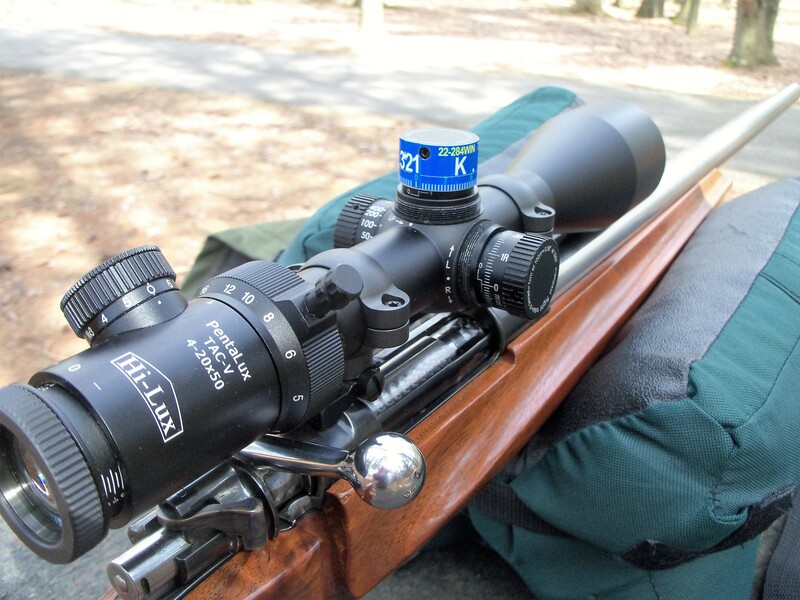 I started load work with a Leatherwood CMR 1-4×28 optic then switched to a Cabela’s 4-18×50 for more magnification. Starting off at the reloading bench with quality prepped brass is critical with any loading process. 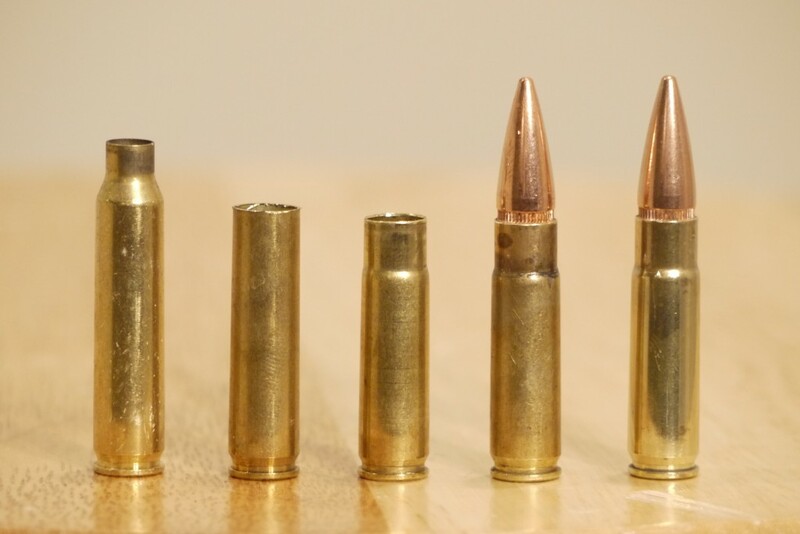 You might convert military brass from 5.56 to 300BLK or use commercially manufactured brass (do not mix the two as brass wall thickness will differ and case pressure will change). I deburr the flash holes, file trim cases and F.L. resize, most reloading books will list H110 and AA1680 as the go to powders and I started off with a H110 equivalent powder (W296). With an AR15 platform I seated bullets out to max magazine length to start with and once a good powder charge was found then the bullets were seated deeper by .05” increments to test accuracy. 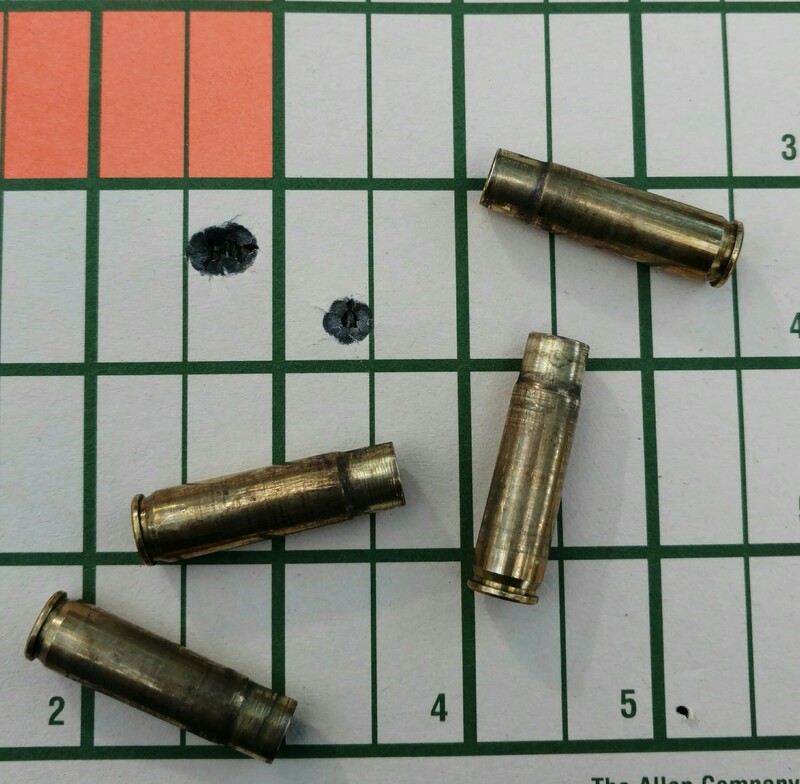 168 grain hollow point boat tail bullets were selected and a Lee factory crimp die set to a medium crimp this held the cartridge overall length without set back after repeated chambering. I really wanted W296 to be “the powder” for this rifle and some groups would print a nice clusters at ½” centers while others would open to +1”. 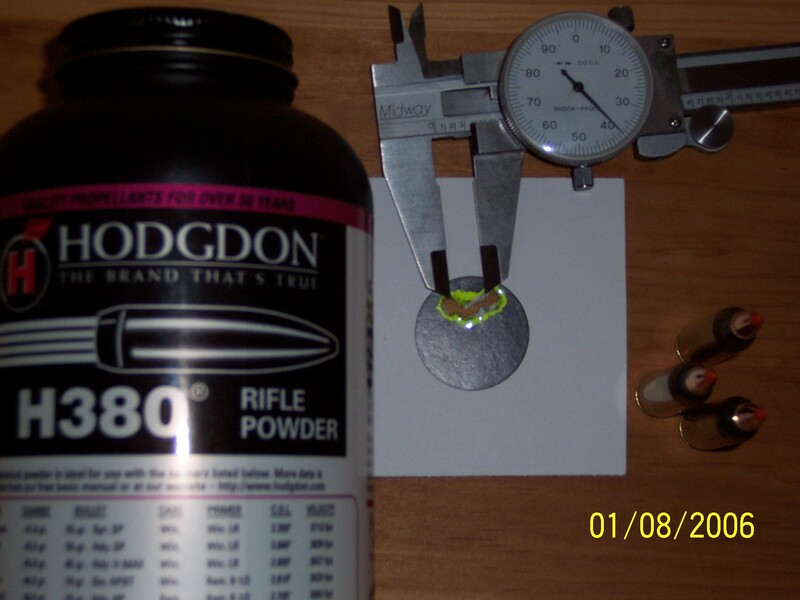 15 grains of W296 produced the best accuracy sometimes and that proved to me it was time to run some data thru Quick Loads to compare other powder. W296 powder would not group consistent enough at 100 yards. I won’t go into all the ranges of powder I tried while looking for the sweet spot charge, and while in the Quick Load program crunching numbers with IMR 4227 I noticed predicted velocities were a bit slower than with W296. At 50 fps slower velocities the IMR 4227 had a better node of vibration for bullet muzzle exit so test loads were built up and groups were evaluated. 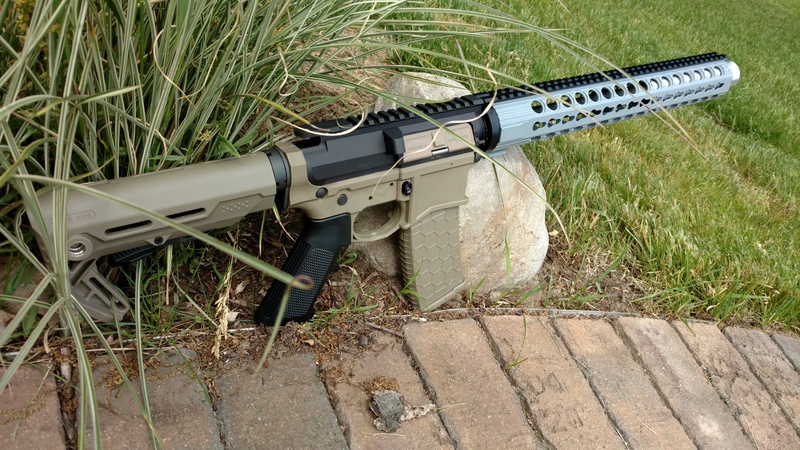 CBC Industries built the AR upper equipped with a free float hand guard, flash hider and heavy 16” barrel, the workmanship was excellent and trouble-free function. However occasional first and last round flyers would crop up and that just frustrated me as I spend careful time building ammo as precise as I can. I settled on 14.8 grains of IMR 4227 with 168 grain HPBT bullets tucked inside Lake City converted brass and ignited with CCI400 primers, I ended up dropping down to 14.6 grains and really shrunk the groups as you will see in the below photos. While scrubbing out the carbon and copper from the barrel I remembered an article printed in a tech magazine talking about tuning an AR15 barrel nut torque for accuracy. The theory is that more or less torque applied to the barrel nut will adversely affect barrel vibration when a cartridge is fired. This was very interesting as military match rifles cannot be modified for competition “as issue” configuration is the rule, tuning the barrel nut is not modifying the rifle. Range tuning the AR is not a quick process especially with optics mounted, the process goes as follows. After adjusting the nut torque it will become evident whether you need more or less torque as group size will dictate FT. Lbs. as a note 35 FT. Lbs is the minimum I would torque a barrel nut to without a thread locking agent. I found the nut torque to be at 80 FT. Lbs. on the factory assembled upper and after the tuning process I settled on 35 FT. Lbs. Another interesting point the author made was indexing a flash hider with a solid bottom section. As with an “as issue” match rifle slight clocking of the flash hider is not a noticeable item, and yes it will fine tune a load to some degree. I found between 1 O-clock and 3 O-clock will be enough indexing to tune a good load. If you hit the barrel nut torque with vibration node spot on you won’t notice much improvement with indexing the flash hider. 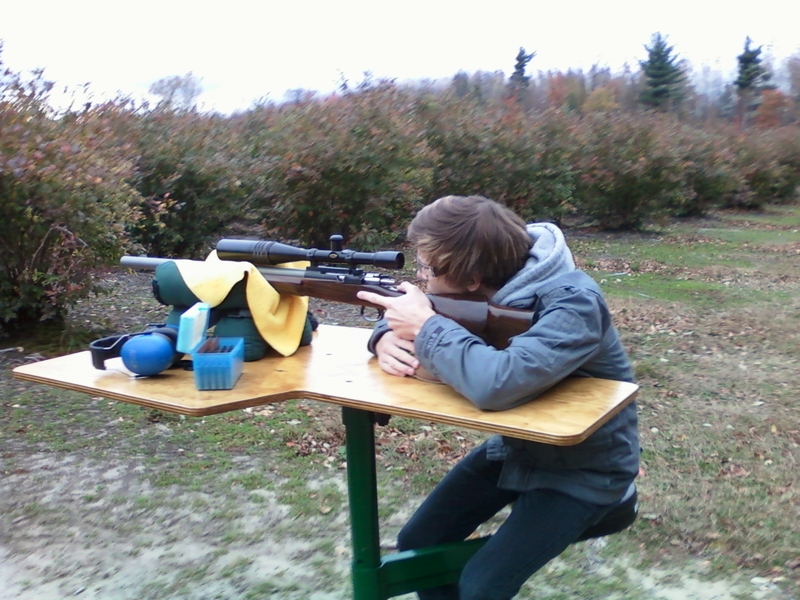 yes I pulled the fourth shot on the right hand target. As with any drop chart corrections in elevation will be needed to assure hits. This chart also shows good Subsonic velocity out to 1000 yards. Supersonic bullets need to be stable for accurate flight and Subsonic bullets alike, a term often used regarding stable bullet yaw is to “go to sleep“. The theory is to get the bullet to go to sleep as quickly as possible thus taking advantage of a better trajectory. The Transonic region will disturb this sleep and then hopefully regain stable flight once in the Subsonic region. Most Subsonic loaded ammo start out at less than 1000 fps thus running out of velocity and energy sooner. Only experimenting at longer ranges will prove the ability of a load to perform good out to the Subsonic region, the idea I am toying with is to shoot a mid-weight bullet at Supersonic speed thru the sleep stage and hopefully send it back to sleep way out in the Subsonic region. With winter here in Michigan I will be able to stretch out my shooting distance at the range in hope of sending these 168’s to sleep. This is a sneak peek of the optics I will be reviewing soon! 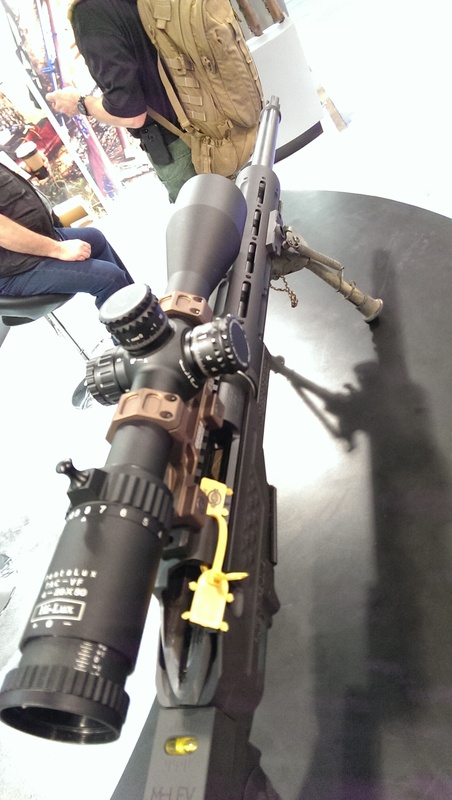 ATN X-Sight II HD 3-14 scope. 1080 p video, wi-fi, geo tracking, day/night vision and ballistic shooting solution system. It’s December and Christmas is upon us. Get out and enjoy time with family and friends celebrating the birth of our Savior Jesus Christ. While others are drinking eggnog and watching the game on the flat screen try to sneak out and send some bullets to sleep. 300 BlackOut, 300BLK or the metric designation is 7.62x35mm. A unique design not so new or recently created. This often appears with cartridges as similar configurations have been experimented with in the past, as with some the 300 BlackOut is all about timing the introduction. 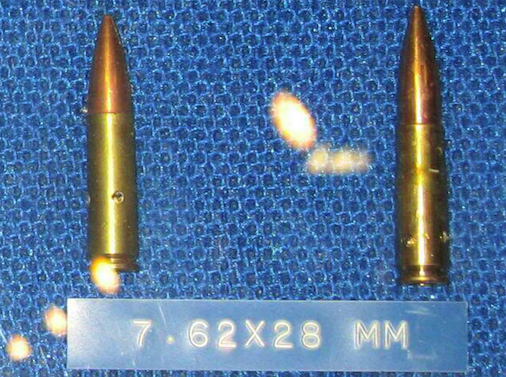 (or a cartridge before it’s time) Similar to the 25.06 Remington a mild round until the development and introduction of slow burning powders like H4831, then the cartridge was noticed to be a big performer. 300 BlackOut loaded with a 168grain military pull down FMJBT. Velocity a mere 1700fps. 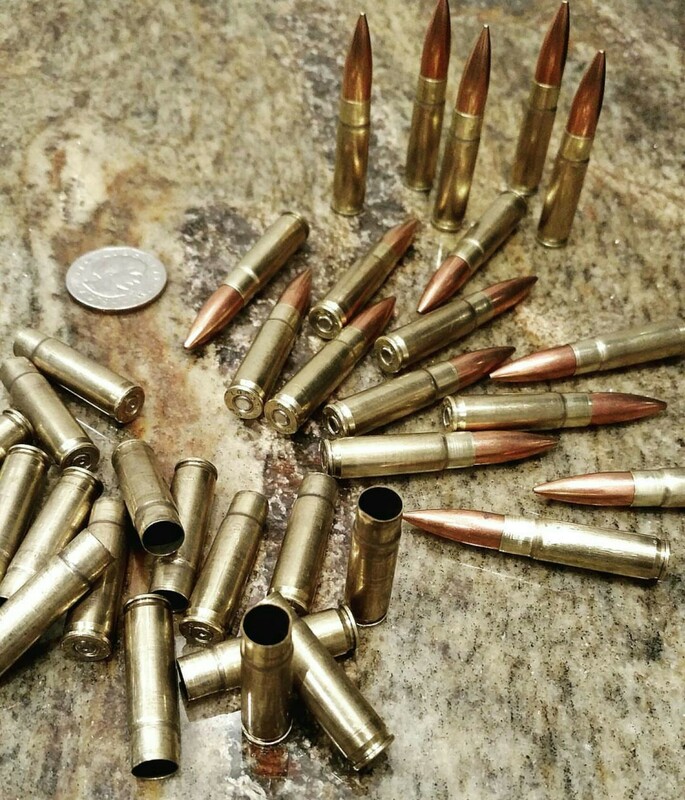 Newer powders, sub-sonic rounds and heavy bullets brought the 300 BlackOut to be noticed. Earlier developments didn’t take off as well, for example The 8×35 Ribeyrolle was developed in 1917 during WW1 for the 1918 automatic carbine. The round is similar to the 300 BlackOut. 1969 a 7.62X28mm was developed, the round is similar to the 300 BlackOut. to function in an ar15 platform upper. A barrel change will switch from 5.56 (223 rem) to 300 BlackOut all while operating with the same bolt and upper components and magazine. The Whisper was originally developed from its parent case the .221 Fireball. It can be loaded to subsonic or supersonic velocities. This cartridge is almost exact to the BlackOut with minor dimensional changes. 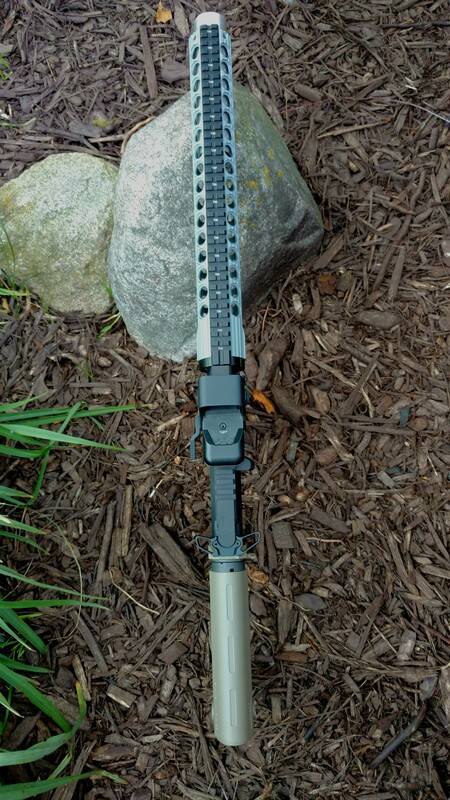 The 300 BlackOut was created from this version and incorporates a longer neck. 2011 the 300 BlackOut was approved by SAAMI (Sporting Arms and Ammunition Manufacturers’ Institute). With that support several commercial ammunition manufactures started loading for the round and firearms were chambered in 300 BlackOut. 300 Whisper commercial ammunition can be safely fired in a 300 BlackOut chamber due to the longer 300 BlackOut chamber throat, If you have any doubts contact the ammunition manufacturer or seek advice from your local gunsmith. the 125 grain 300BLK will clock 2,215 feet per second with 1360 foot-pound force. 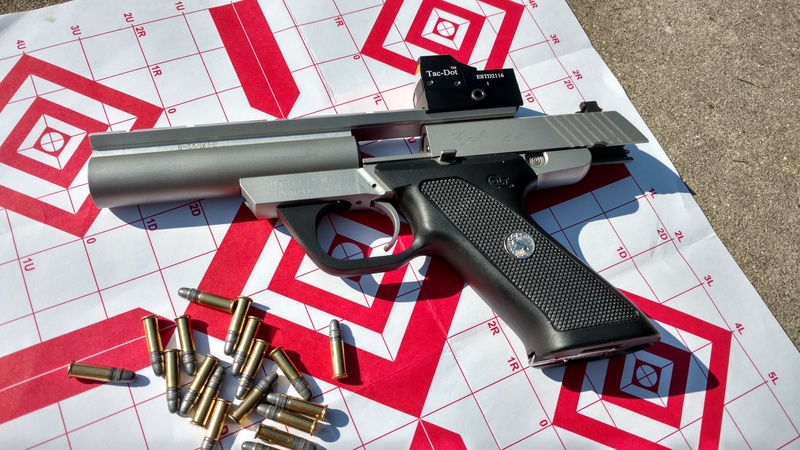 The 220 grain subsonic round clocks at 1,010 feet per second with 498 foot-pound force. The round is good for out to 300 yards, but can reach 500 although not practical. For short range the round will deliver high energy and hard hitting shots (Hog medicine). While shooting subsonic (220 grain) the energy is amazing for under 100 yards and it is quieter than a 9mm whether suppressed or not. 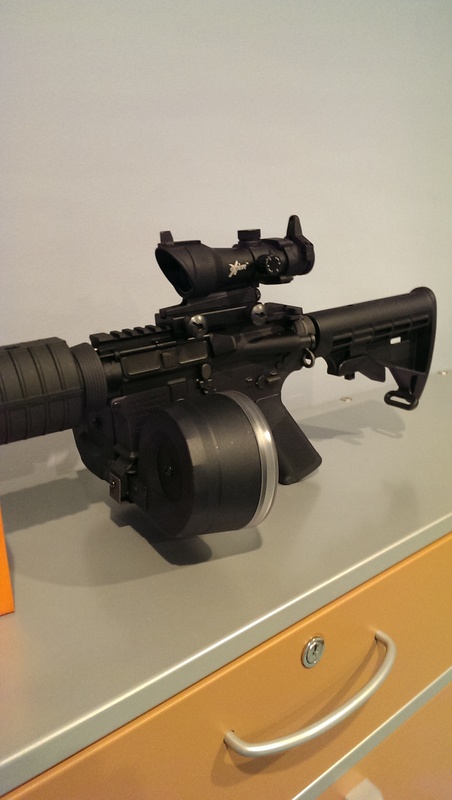 Because of this the round is great for short range CQB use which is good in combat situations. The timing was right with a big range in bullet weights (110 – 220 grain) available along with good powder selections. The 300 BlackOut became popular to the reloading community when ammo was scarce upon introduction of the round. 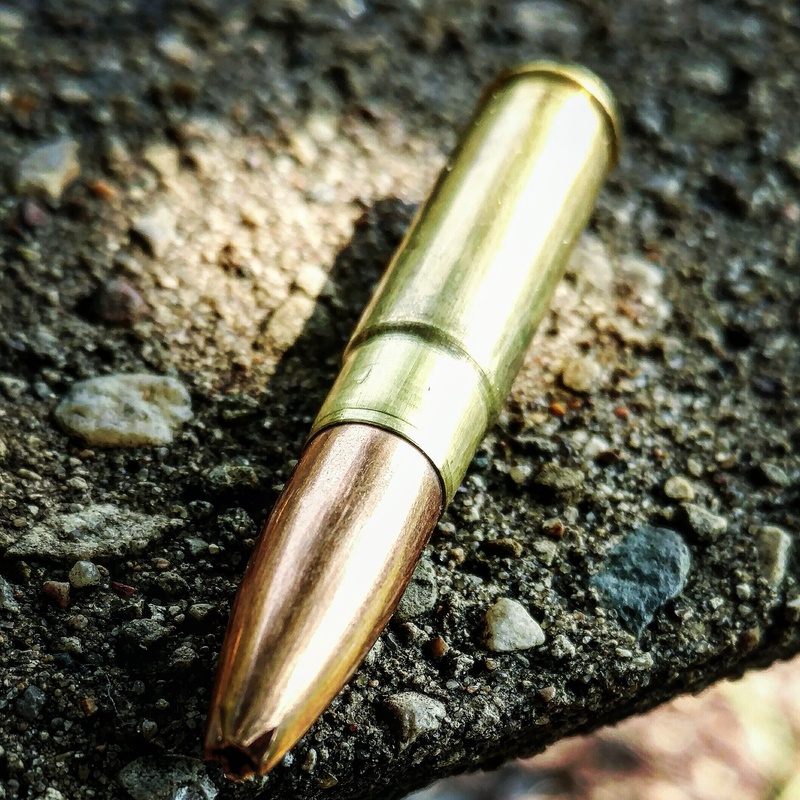 Forming cases from 5.56 brass was common, cutting down and reforming to accept 30 caliber bullets however this brings up a very dangerous condition. On the left is a 5.56 case, then cut at the shoulder, resized to 30 caliber, trimmed and on the right two 300 BlackOut cartridges. The danger is when an inexperienced shooter grabs some 300 BlackOut ammo and unknowingly chamber’s it in a 5.56/.223 chambered rifle. Yes it will chamber as the 30 caliber bullet will act as a false cartridge shoulder only to have dangerously high pressures resulting in exploded rifles and personal injury. Take some time and surf the web for this topic and you will see several cases of this! Know what ammo you are putting in any given firearm before chambering it! The argument continues on whether the 300 BlackOut is superior to the 5.56/223. Down range energy, sustained subsonic velocity, lower recoil for heavier bullets and low suppressed sound for CQB situations. 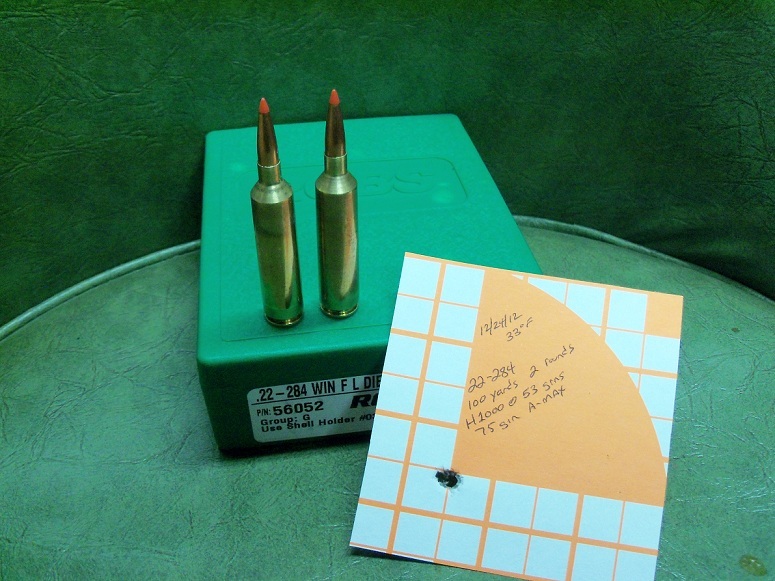 The cartridge fits a unique role as do other specialty cartridges, the 5.7×28 is a good example. You need to decide on the application of use, I find it a very interesting round as experimenting with powders and middle of weight spectrum bullets (168 grain) have proven it to be quite accurate. 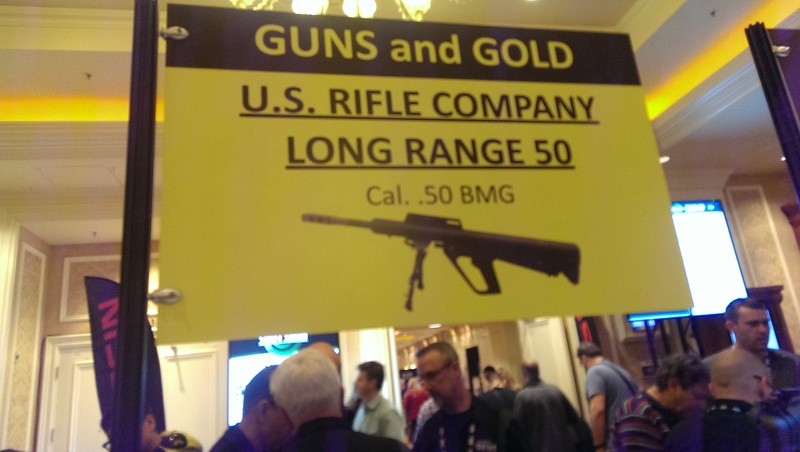 Another point to consider if you go the 300BLK route is gas port location, pistol and carbine are the choices. 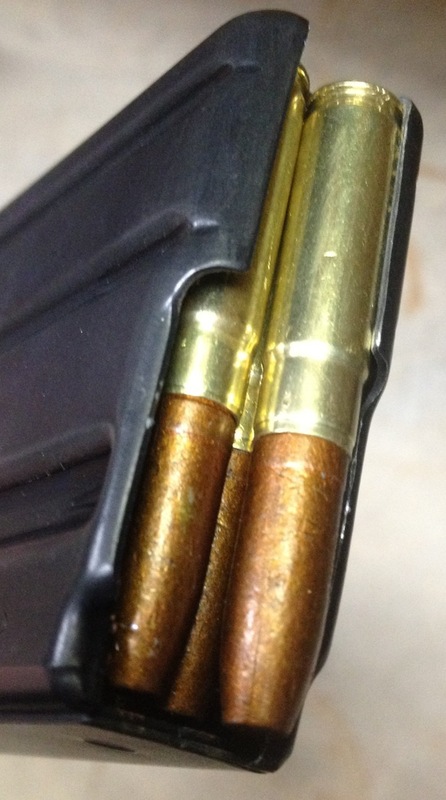 Pistol length gas ports will cycle supersonic and subsonic ammo fine un-suppressed. Carbine length will cycle supersonic while needing a suppressor to reliably cycle subsonic ammo. Bullets for hunting need to be selected for low velocity expansion as most .308 bullets are designed for higher velocity cartridges. Several new designs are on the market allowing low (below 1500fps) reliable expansion rates with good primary wound cavity. For those of you that reload needing an expanding bullet look into these companies. 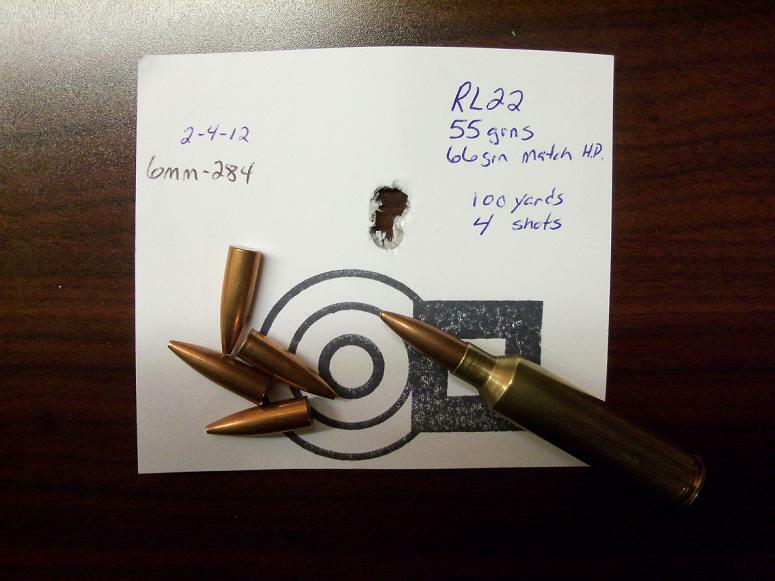 As a wildcatter you can also make 300 BlackOut from 204 Ruger brass. It’s October cooler weather is here and that should have you pulling out those safe queens and warming up some metal. New cartridges continue to be developed so don’t limit yourself to the mass-produced most commonly used ones. Get out and BlackOut! you just might like it. Until next time be safe and burn some powder. It’s your second amendment right! Leatherwood/Hi-Lux makes a fantastic compact reflex sight that will compliment any firearm you need quick sight acquisition for. I had a perfect donor .22LR pistol a Colt Cadet semi-auto that sported an old out of date and bulky soup can red dot. 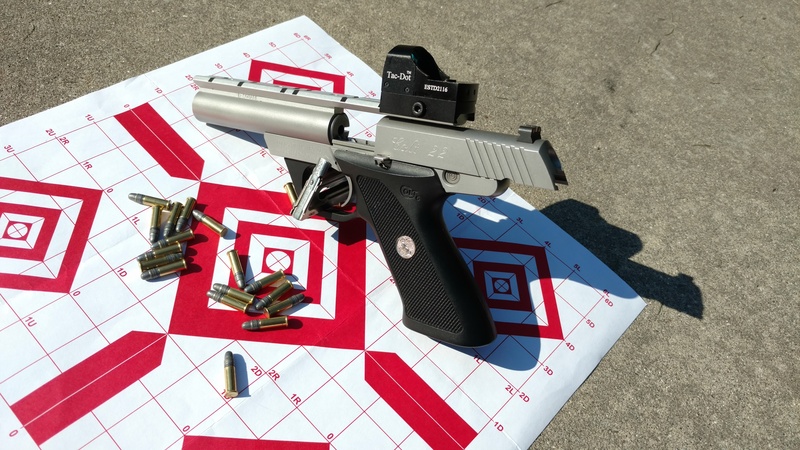 A quick glance will tell you what an improvement the Tac-Dot sight did for this handy pistol. 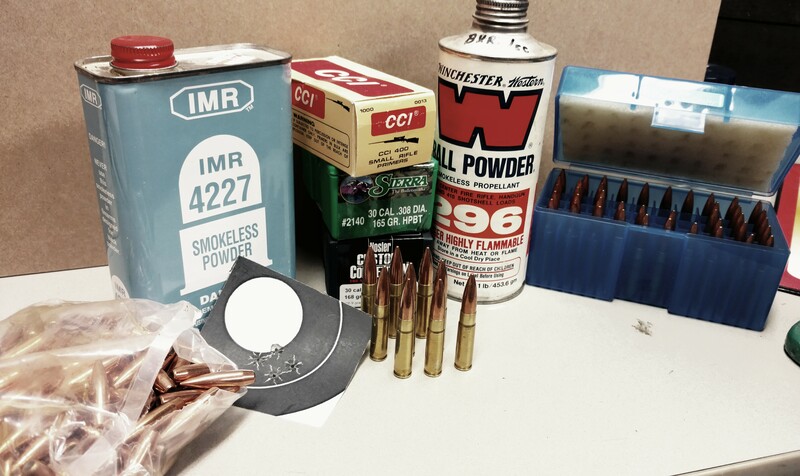 Let’s cover some product specifications before we head out to the range and burn some powder. The Tac-Dot measures less than 2.5 inches in length, and weighs 2.1 ounces. The clamp type mount allows this sight to be secured on a picatinny rail or Weaver base. It’s waterproof so you can take it out in any weather and its shockproof construction can take any environment or recoil you can endure. Sighting the Tac-Dot is quickly handled with friction windage and elevation screw adjustments that can be accessed by means of recessed screws. A handy screwdriver is provided along with a precision dial wheel for fine tuning that tight group at the bench. The 1x magnification eliminates parallax problems, plus there’s no need to focus, and the eye relief is unlimited allowing this sight to be used whether it’s mounted just 5 inches from the shooter’s eye or on a handgun held out 18 to 20 inches from the eye. 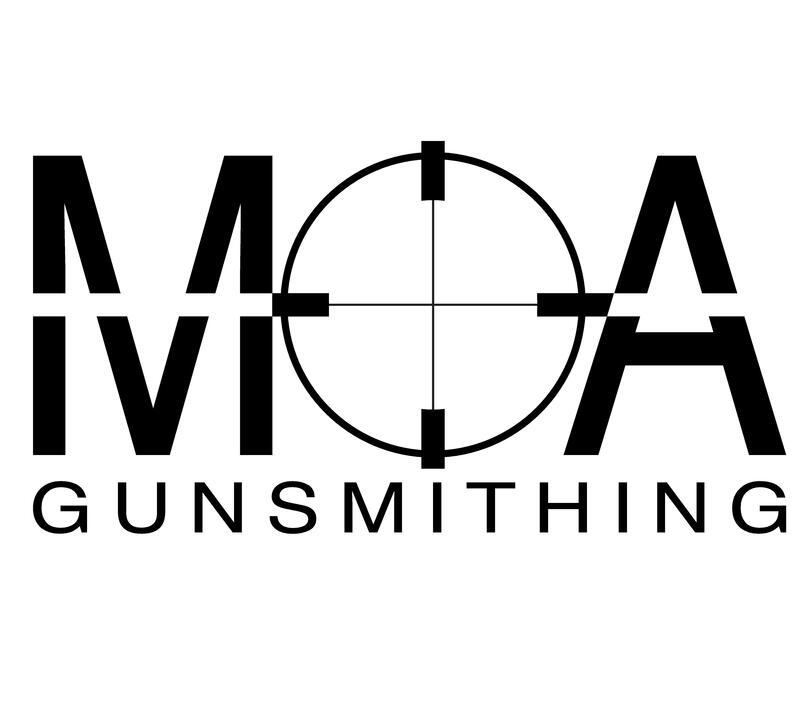 The 4 MOA red dot reticle does not have to be centered in the lens when the firearm is sighted to hit where the dot is on the target…whether the dot is high…low…right…or left of center in the lens. The Tac-Dot sight features fully multi-coated optics for maximum light transmission. The brightness of the dot automatically adjusts to the brightness or dimness of the light. It comes with protective cover. Keeping the Tac-Dot Sight cover on while you are not using the Tac-Dot Sight saves the battery life. Right out of the box I was impressed with the rugged design, light weight and speed of mounting. Everything you will need is packaged in the box. Once mounted a quick bore sighting and you are ready to put some lead down range. I really like the auto brightness of the dot no pushing buttons till you reach that perfect brightness. I’m afraid you’re aiming perfection skill factor will diminish a little as you really don’t need to concentrate on perfect aiming with a reflex sight, just place that dot on target and squeeze the trigger! No more needing a perfectly centered dot in the objective lens, technology is awesome! The glass is extremely clear and the dot can be pushed right into a corner without distortion. No glare issue whatsoever when in bright sunlight and styling is sleek and effective. When a battery change is needed just loosen the allen screw lift the sight and replace with a CR2032, your still zeroed when reinstalled! That’s Leatherwood/Hi-Lux accuracy. Comparing competitor pricing it’s hard to beat the value of the Tac-dot. 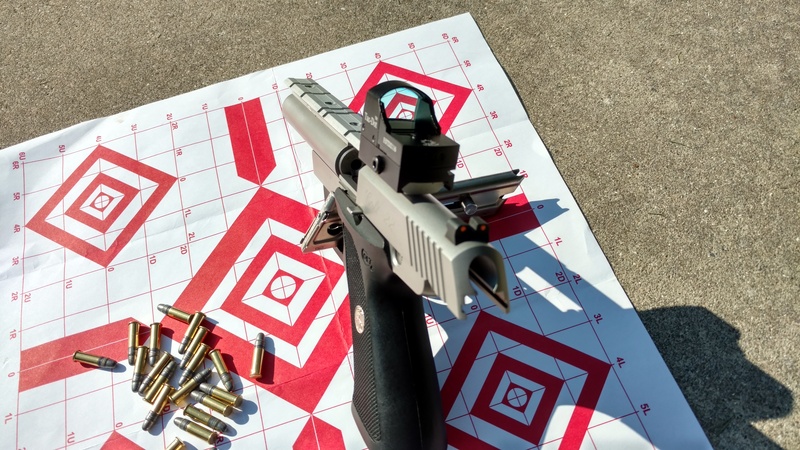 At the range only two sight adjustments had me punching X rings on the target then a switch to dumping rounds into a ballistic cube proved the zero was solid. Switching from heavy shade back to bright sunlight was easy with the auto brightness and I really like the light weight this sight provides. 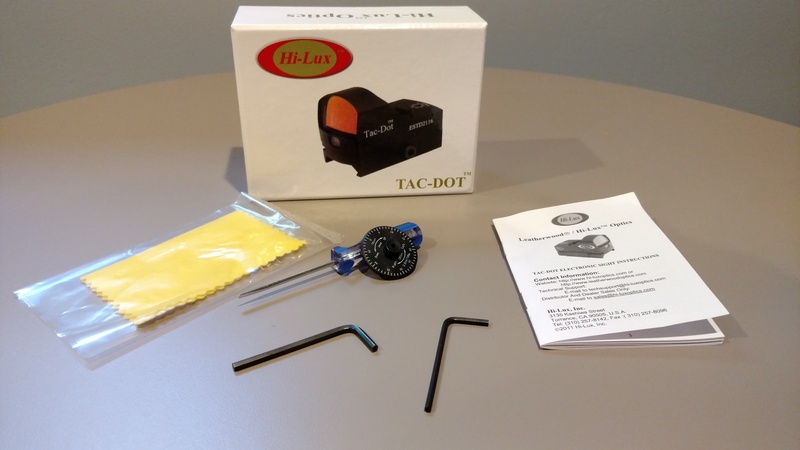 Final thoughts on the Tac-Dot I really like it! well-built, light weight, easy operation and great features. 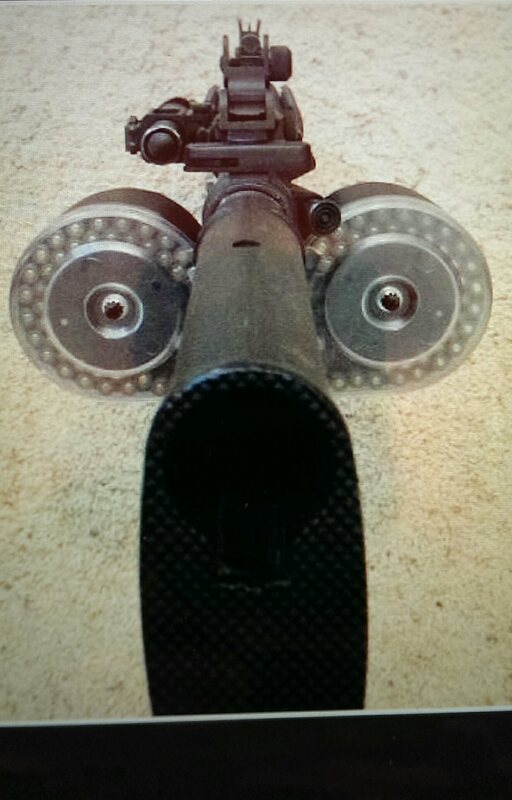 I just might put one of these sights on the 300 Black Out AR build I have on the bench. 45 degree back up sight to a Leatherwood CMR 1-4. Until next time get out and burn some powder and enjoy the outdoors. One year ago to the day I posted about the Leatherwood PentaLux optics. 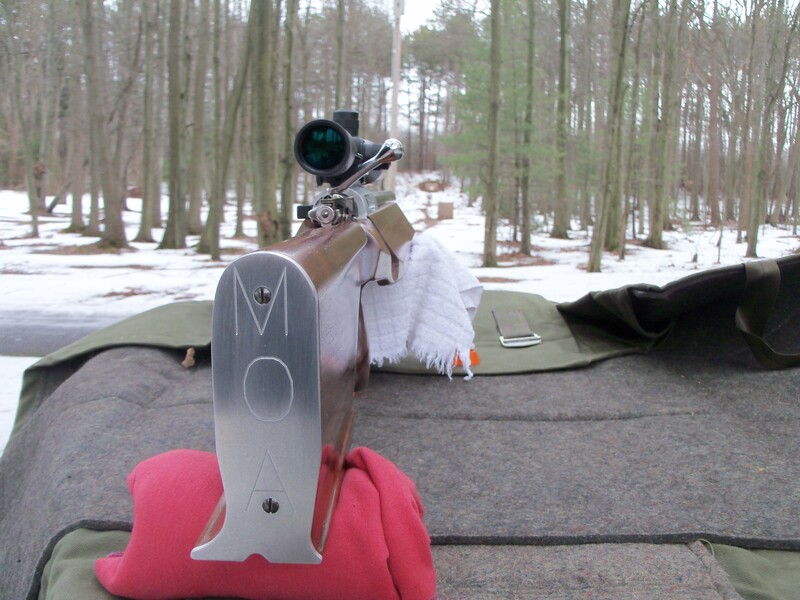 Today I am writing about field testing the glass I mounted on a wildcat Mauser chambered in the hot 22-284 Winchester. 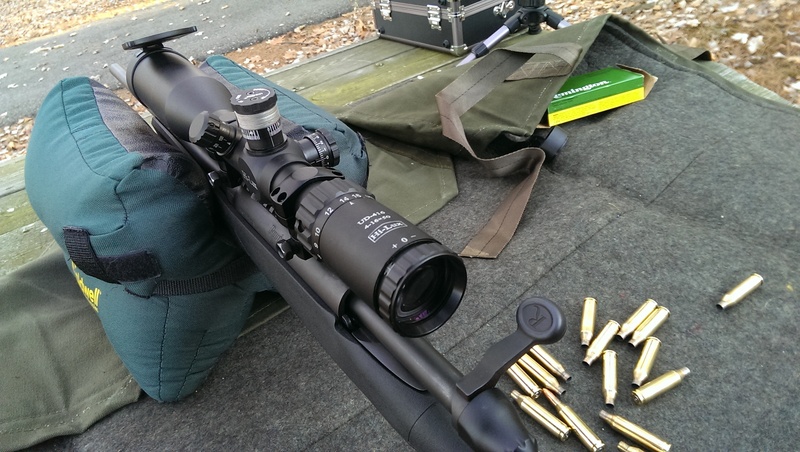 After a routine scope mounting and bore sighting in the shop it was off to the range for zeroing and some evaluation. The day was cool, around 37 degrees along with no wind. 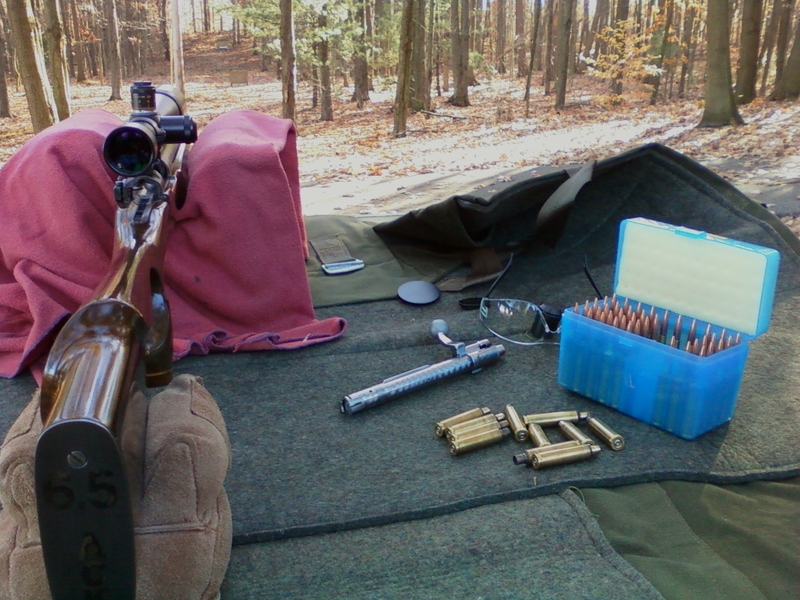 I set up the bench bags that would give the rifle a solid rest. 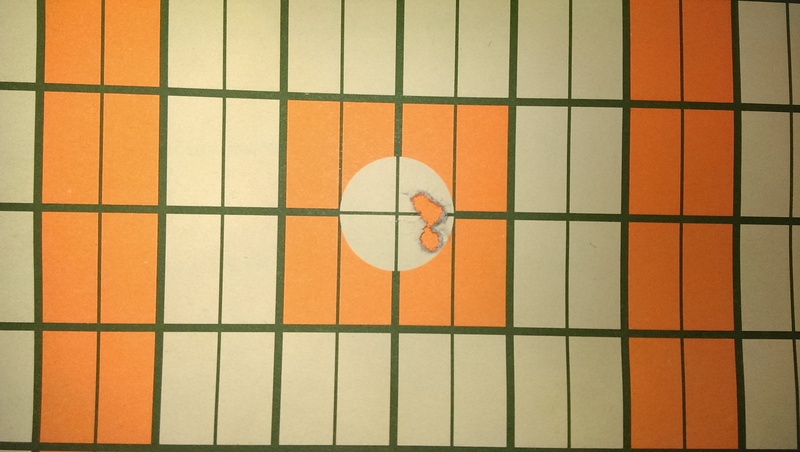 Removing the bolt to compare bore centered on the target with optic center of the reticle proved right on target at 50 yards. 20 fresh rounds loaded up with 75 grain A-Max bullets are charged with H1000 powder, a proven 1/4 moa load. 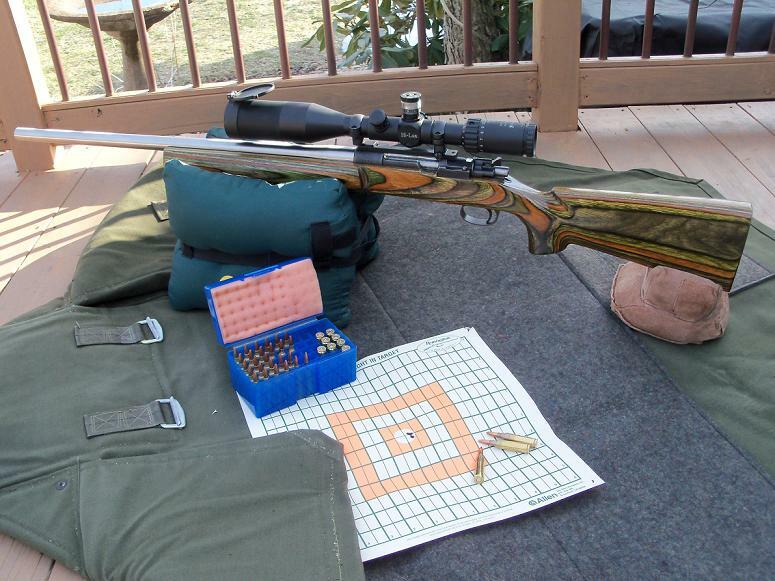 You see the rifle will be used to test the accuracy of the optics. Ocular adjustment was easy with a few turns giving way to a crisp clear glass etched reticle. Then on to dialing in the focus of the target which is made very convenient via a side focus knob. 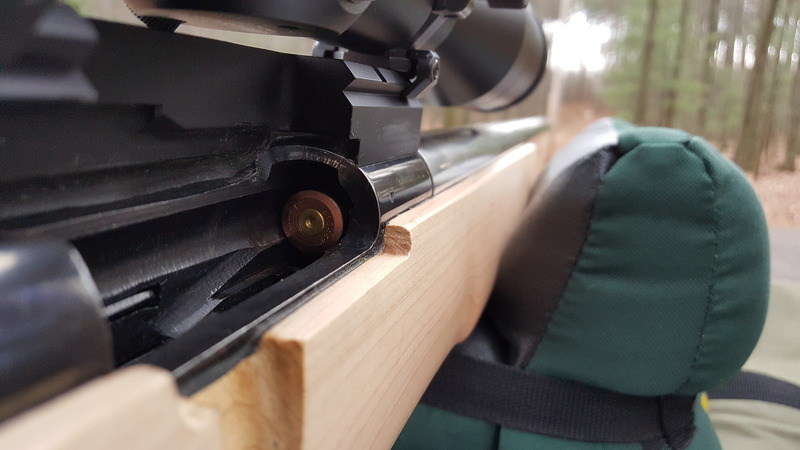 Slipping a round on the benchrest follower allows the bolt to lock up a snug chambering then a light touch to the 6oz Jard trigger ignites the fun. Low and left is where the bullet printed. I adjusted just a few clicks up and right and had the second shot dead center. Clicks felt good and positive although seemingly quiet (I couldn’t hear a freight train going thru a nitroglycerin plant ….thanks Clark). Two shots fired and we are ready to go to the 100 yard target. After dialing in a clear target at 100 yards the focus knob read 100! That’s factory calibration for ya! So far things are going good at the bench. Another round is chambered then fired out to the 100 yard mark. This time all that is needed to center the shot was one click left of windage and with the .01 mill adjustments pin point accuracy is easy. I was pleased with three zeroing shots allowing the fourth shot to drill dead center at the 100 yard mark! Another feature of the PentaLux is an illuminated reticle. I ordered green illumination and the rheostat has two off positions 180 degrees apart on the dial. This optic is built with a 30mm main tube, fast eye focus, zero re-settable turrents (no zero stop) and side parallax adjustment (a Leatherwood first). For a five times magnification (4-20 tested) scope it has a compact profile and the 50mm objective lets in plenty of light. I hope Leatherwood/Hi-Lux will offer a sunshade for the PentaLux line as I am fond of using them. Turrent covers protect the adjustments from accidental moving when handling and moving thru the woods, while looking for that shot opportunity at your game. A handy throw lever is screwed to the power ring for quick positive dialing magnification. 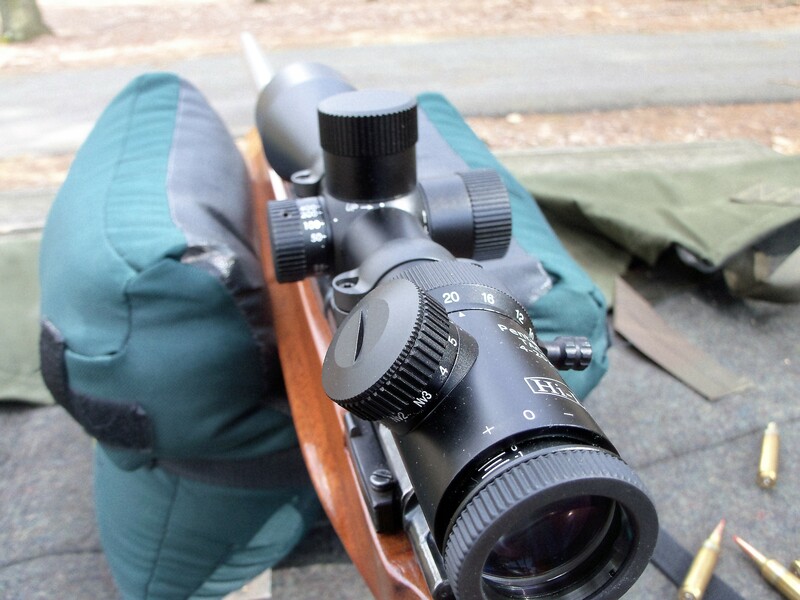 The reticle is calibrated in mil’s and moa with ranging scales to size up targets at distance. 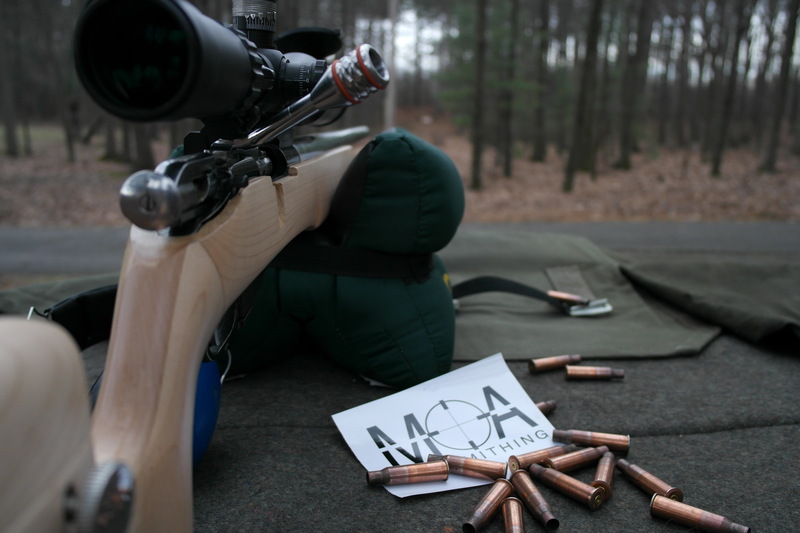 Clicks are in .01 mil’s (.036″@ 100 yards) as opposed to moa clicks (1″ @ 100 yards). You have probably noticed the bright blue elevation turrent in the pictures. This is a modification I made to allow quick zero settings at various ranges. 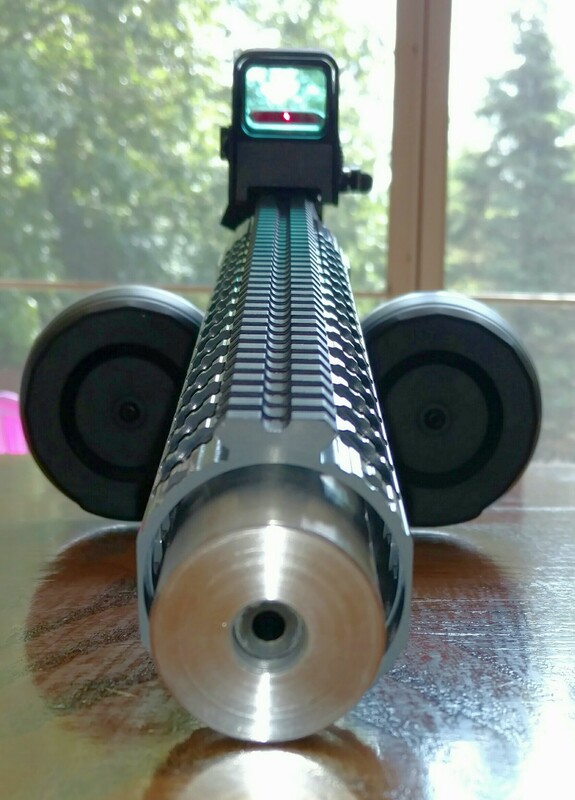 After turning down the knurled edge on the turrent, providing a smooth round surface, I ordered a custom ballistic tape from http://www.customturrentsystems.com (post 5/20/2015). The tape is calibrated for the 22-284 Winchester round with meter marks from 100m to 1ooom. Ballistic load data is printed around the top edge and click marks circle the bottom edge. The tape is created from a vast choice of colors and fonts along with character sizing. The PentaLux is a well built scope with features that are easy to use (side parallax, power throw knob, fast eye focus) and as always, the erector tube stabilizer. I sent 20 rounds down range that day without a hint of zero shift! I sent a 75 grain A-max bullet down range at 20 power only to have the second shot enlarge the same hole slightly. After cranking the power ring back and forth several times ending up back at 20 power. In conclusion, I like the PentaLux in 4-20×50! Sure, it could use a sunshade and I modified the elevation turrent for my ballistic load, however, it is well built, holds zero and crystal clear with sharp focus. Check one out on your favorite rifle. Just be forewarned……you’ll likely buy other Leatherwood/Hi-Lux optics. Wow things have been a blur since November I finally have time to think about all the stuff that happened. After a good marinate venison back strap meal finished off with a good strong espresso I can reflect on the amazing gathering in Las Vegas “The Shot Show”! 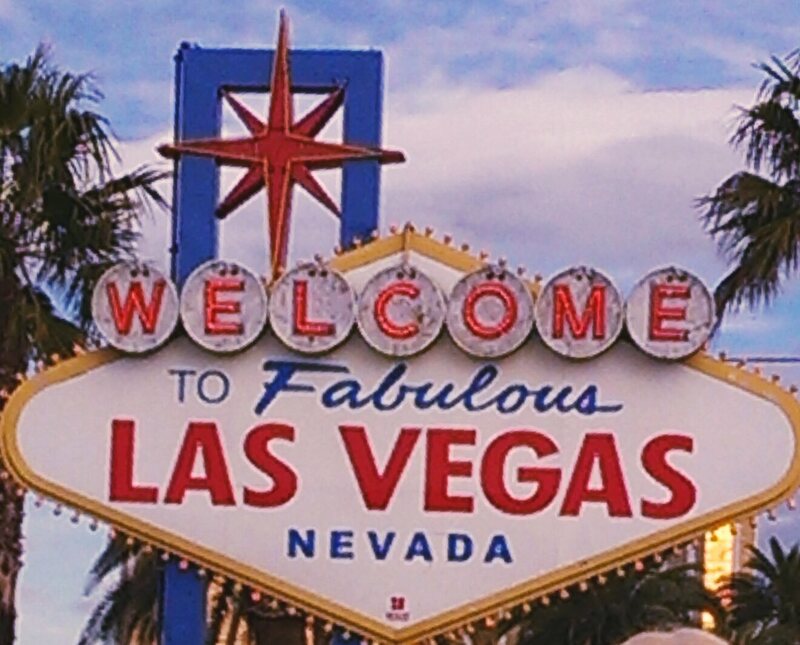 this was my first time at both the show and Vegas. With mild weather in the 60’s I was delighted to be out of the low 20’s and snow. 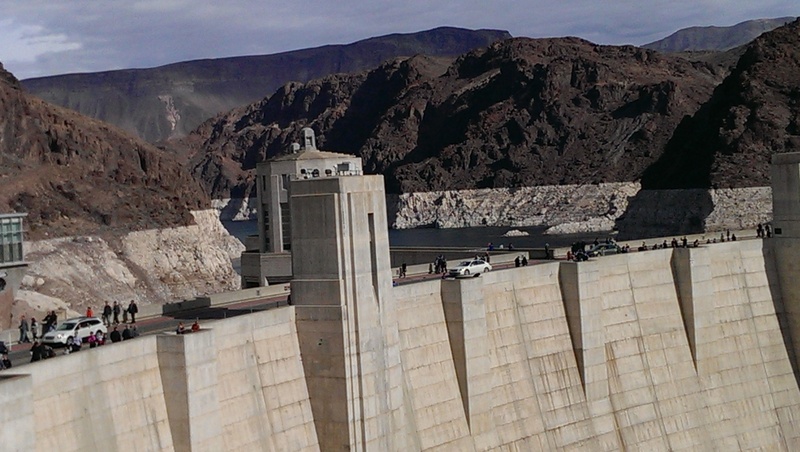 Palm trees, Elvis, Elvis and more Elvis wherever I looked, first off a tour of Hoover Dam was in order my wife Kerri and I took the 8 hour tour that included stops at typical tourist sites and lunch at you guessed it a casino. 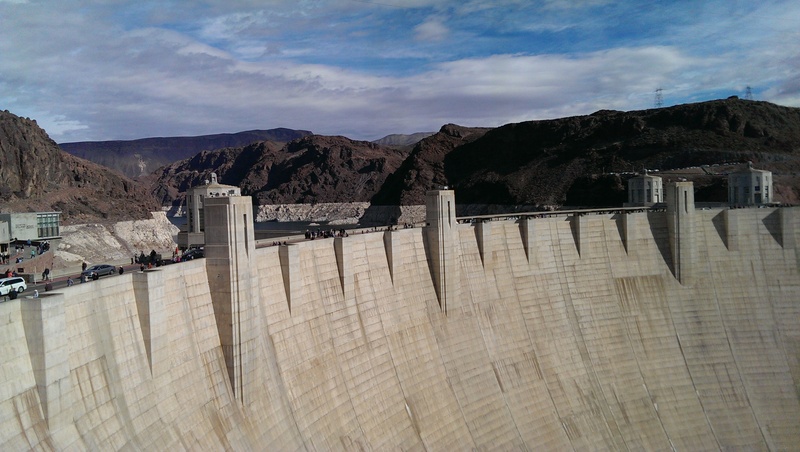 Yes we saw the whole Dam thing (I was tiring of dam jokes too) anyway it’s quite amazing how it was build and our tour started 720′ below grade. I sure enjoyed meeting so many people at the show and connecting with potential business deals. 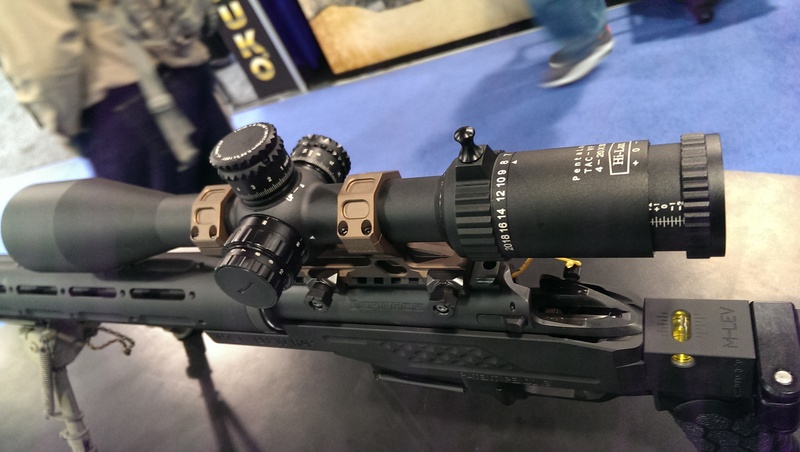 I hope to spend some time at the range testing the PentaLux optic and writing a first hand review.